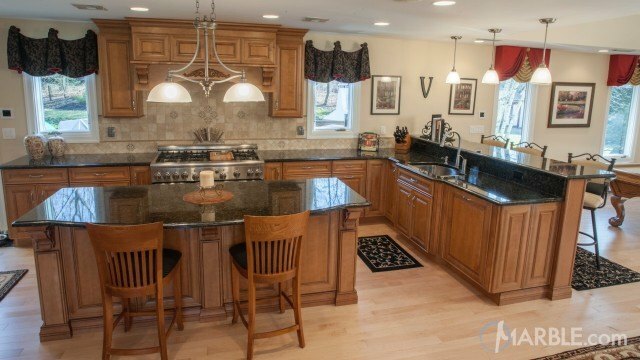 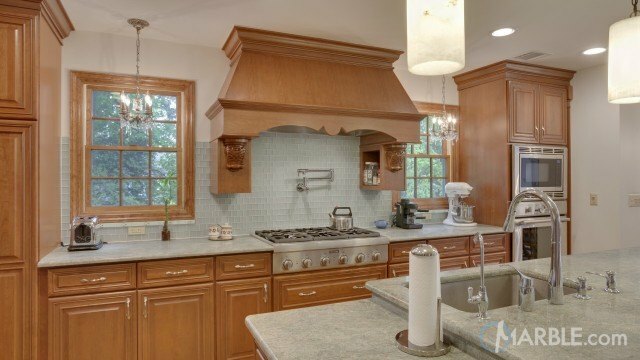 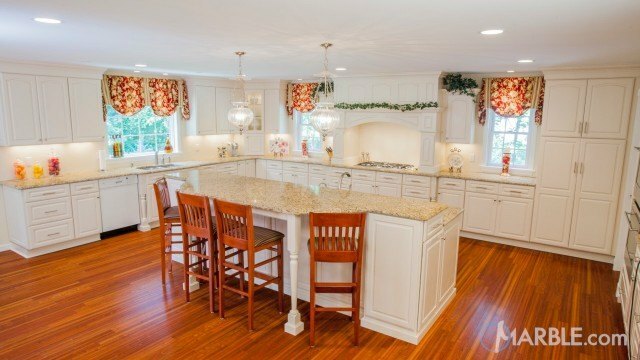 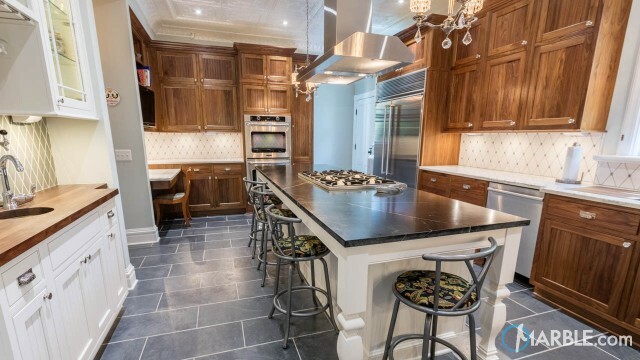 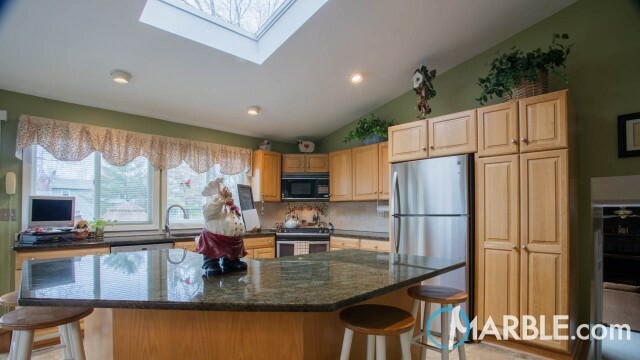 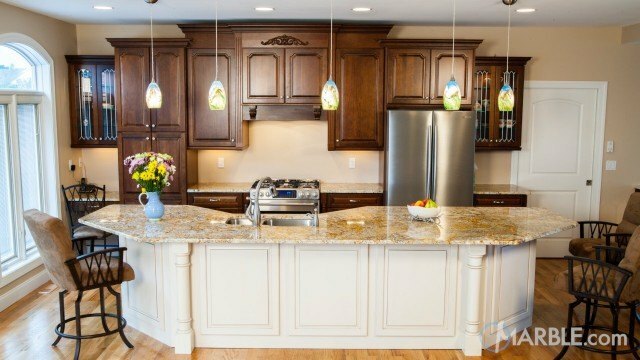 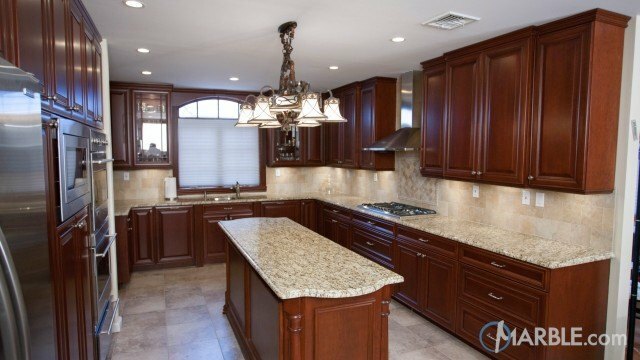 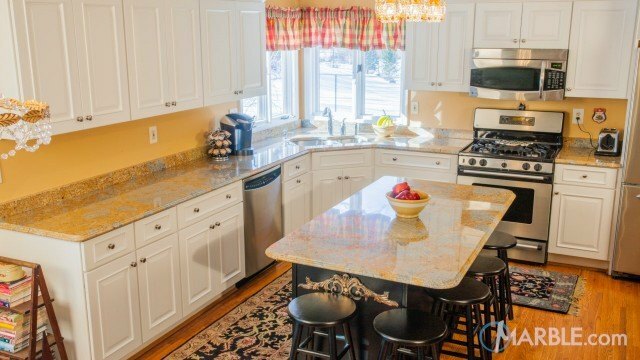 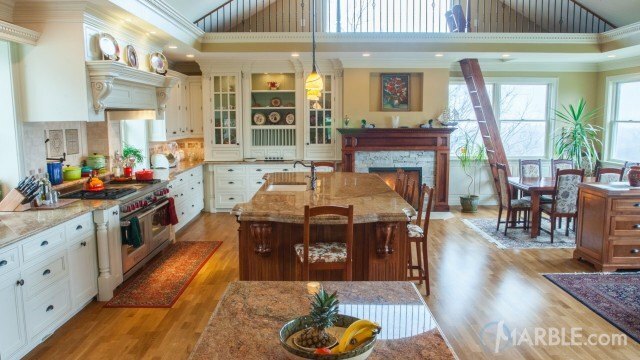 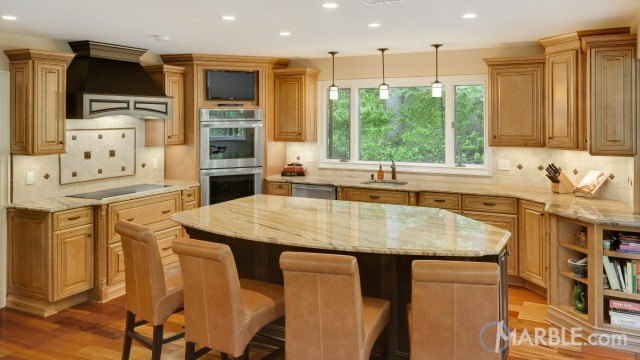 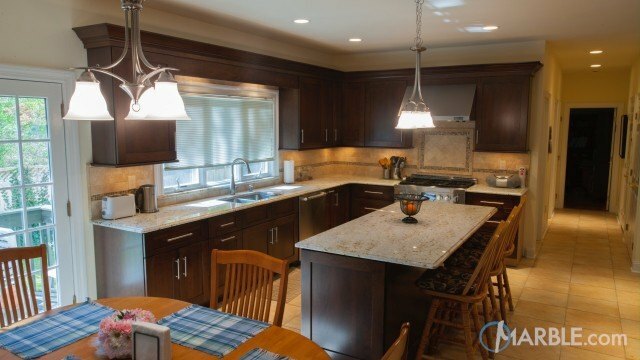 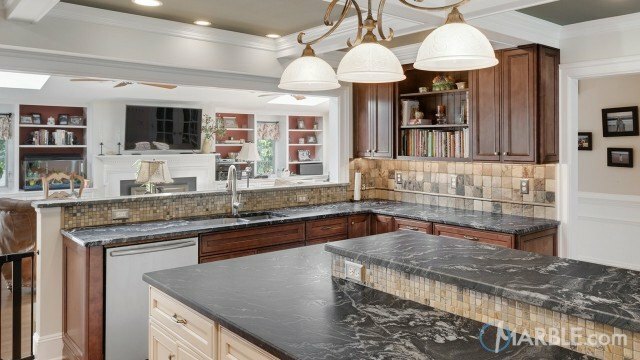 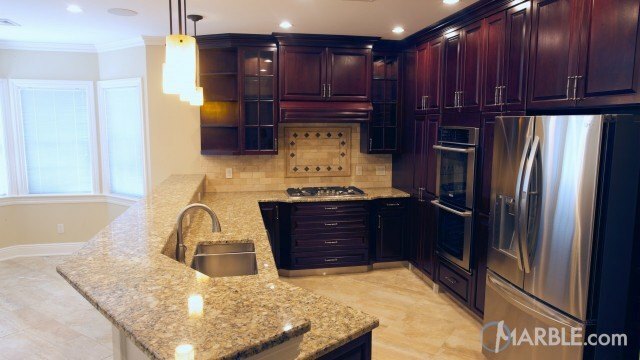 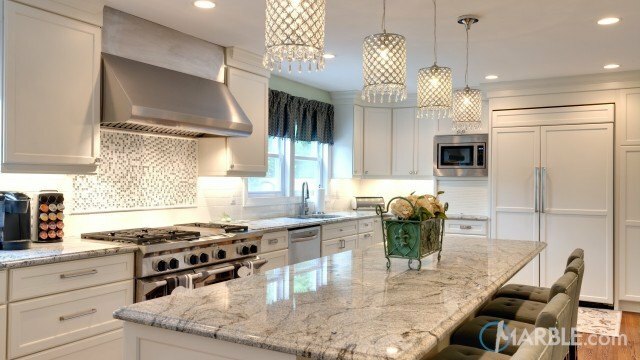 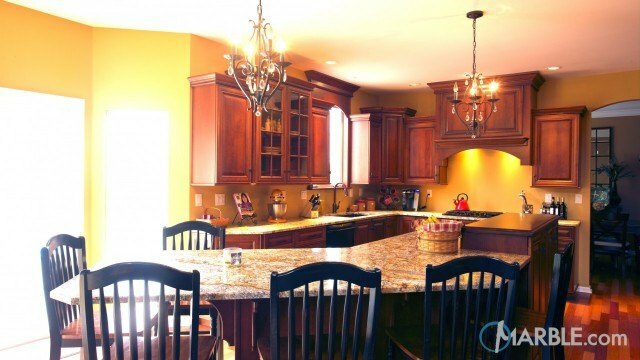 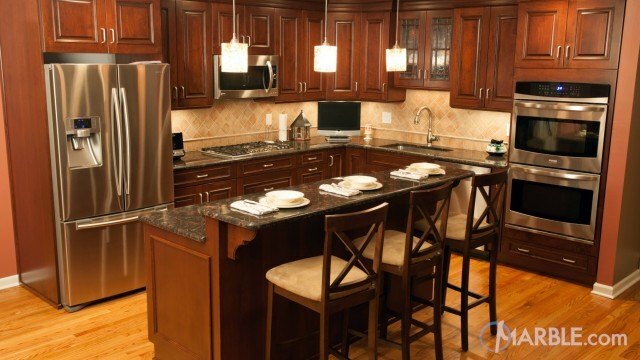 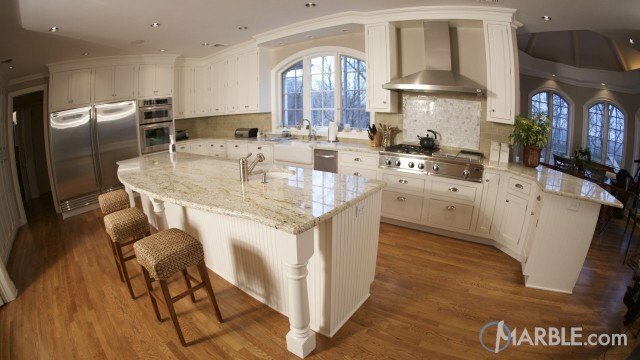 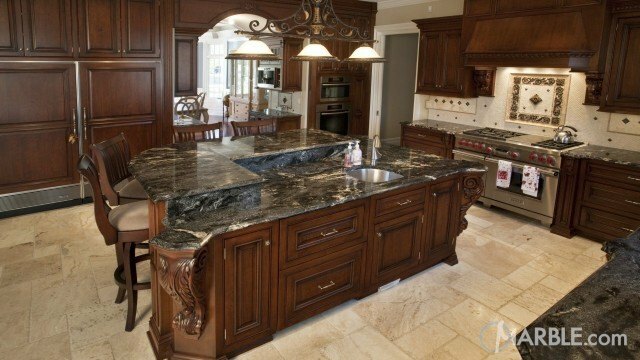 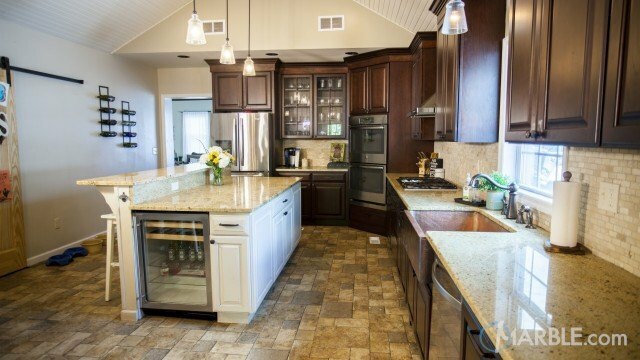 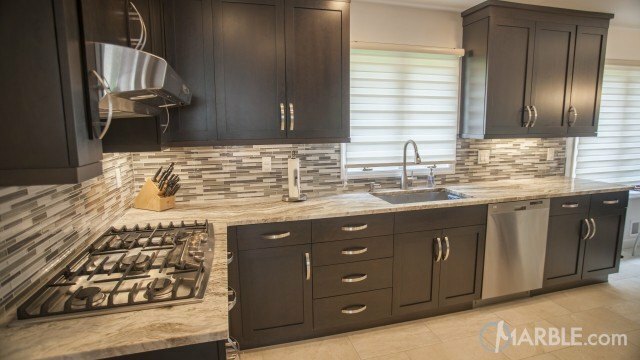 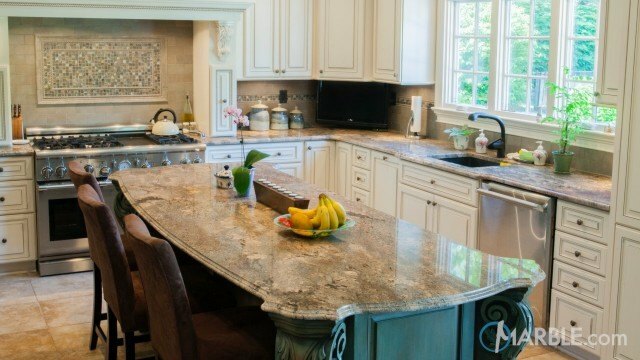 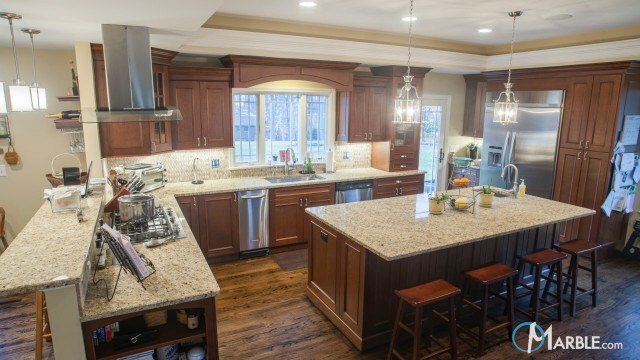 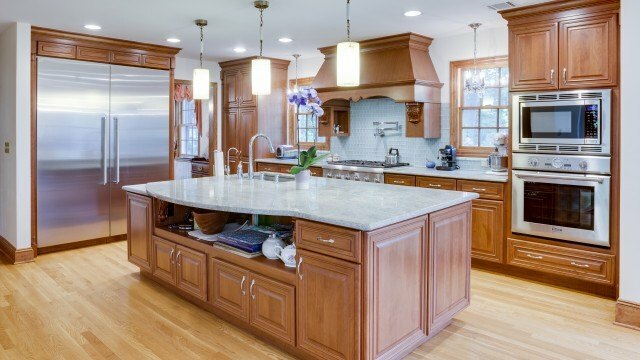 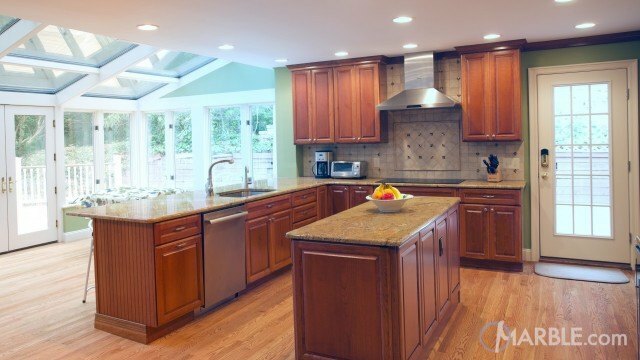 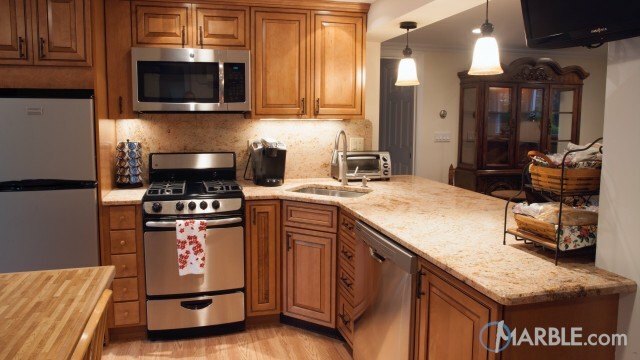 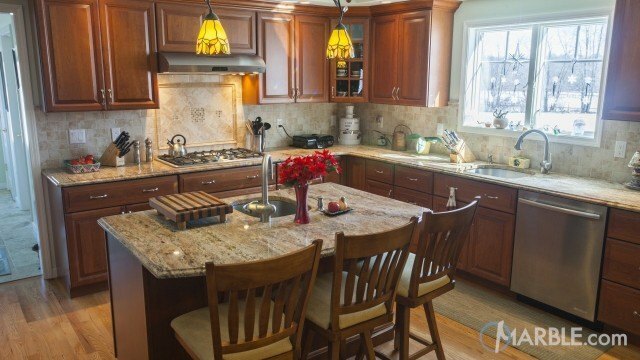 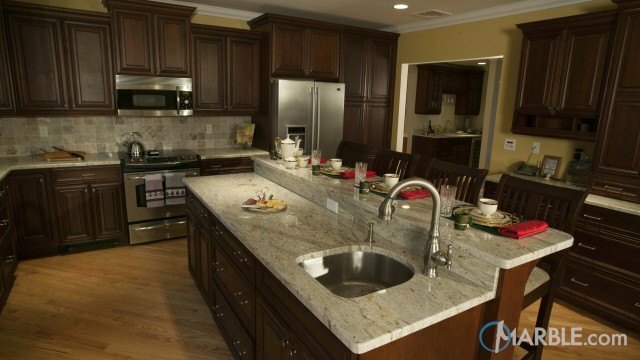 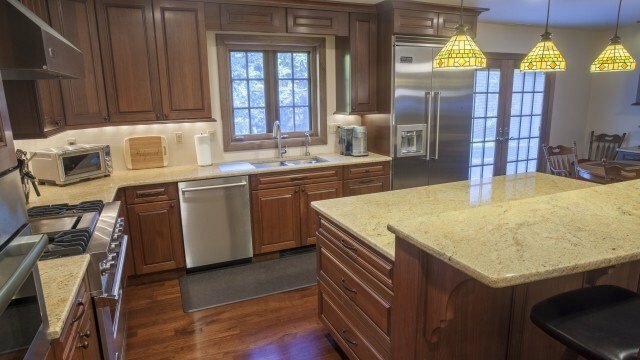 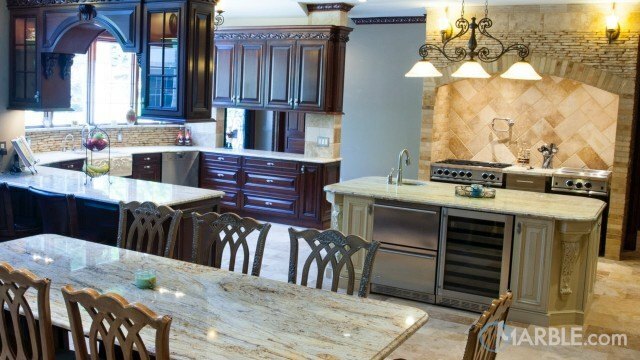 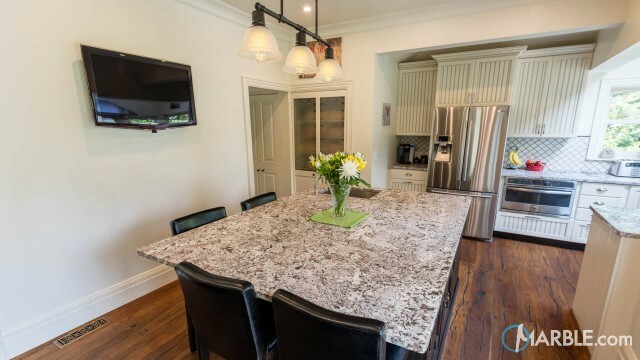 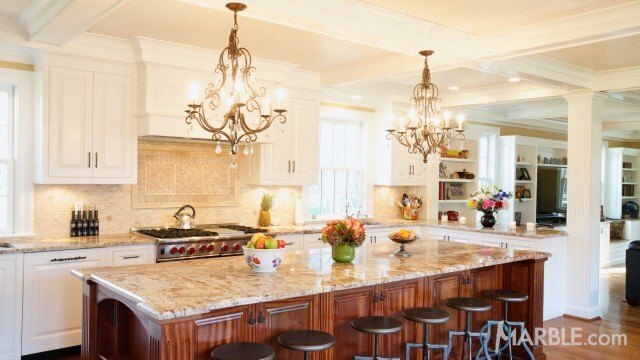 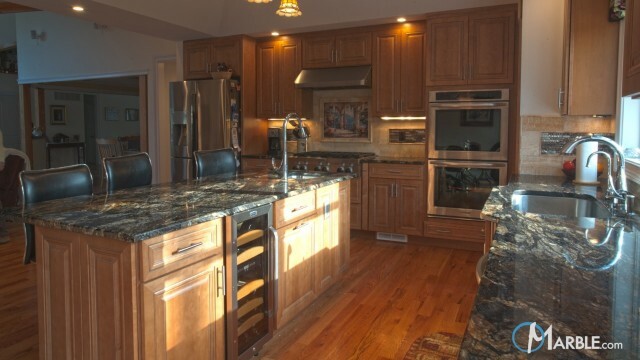 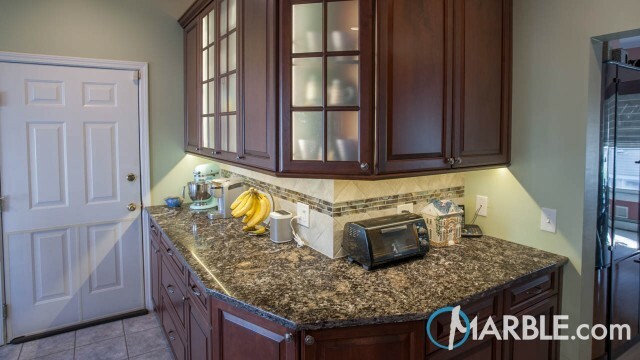 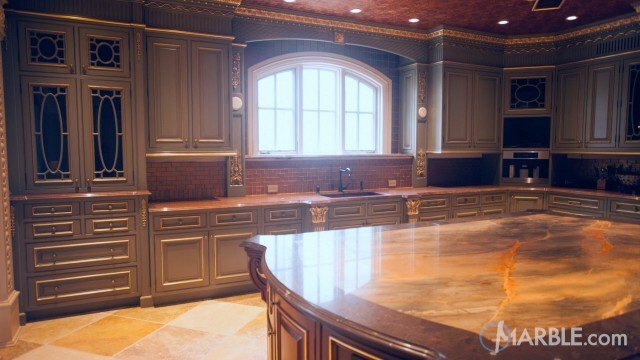 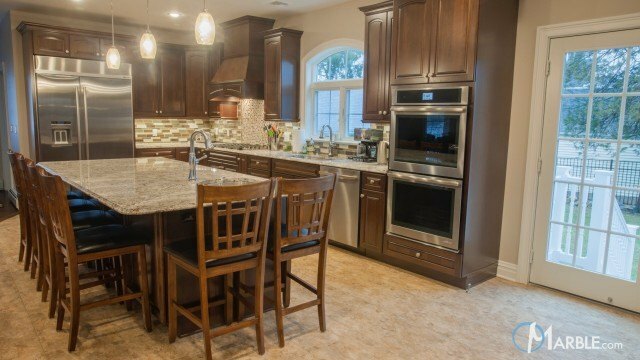 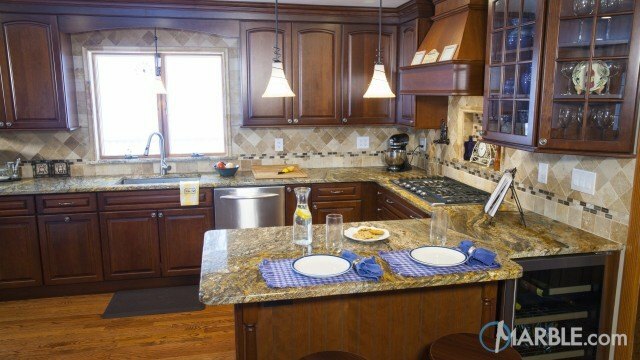 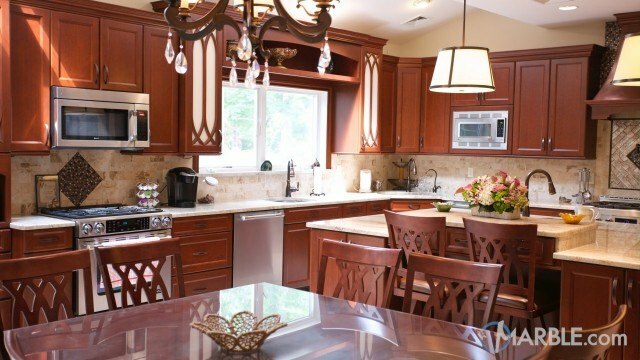 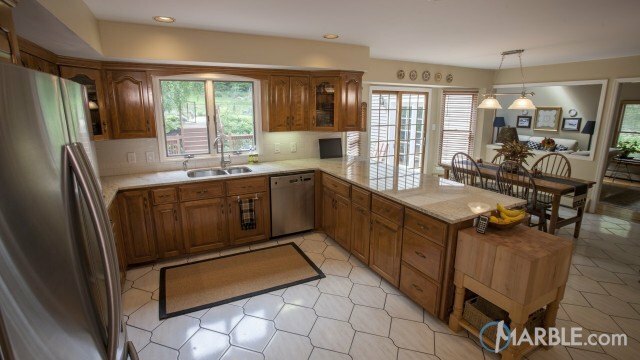 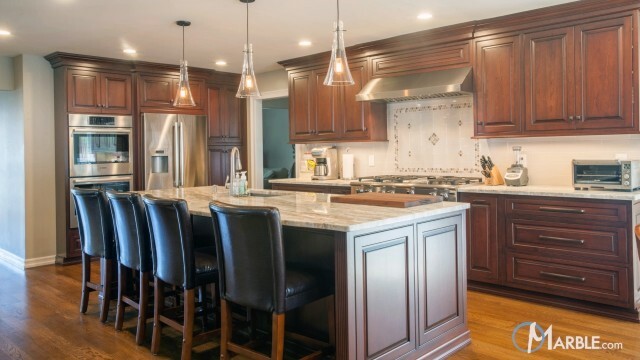 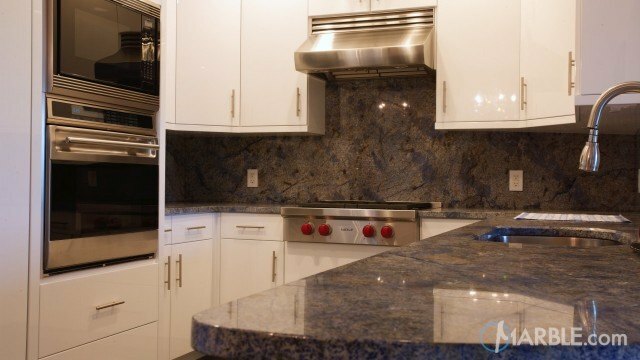 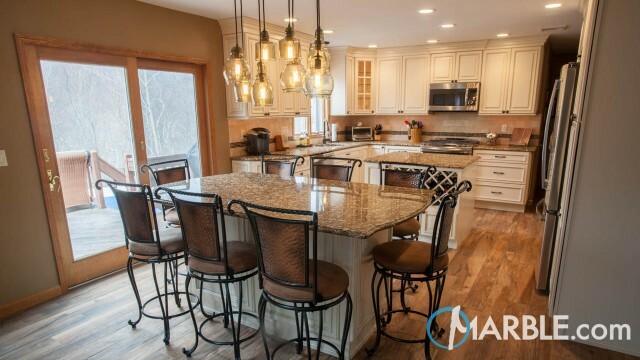 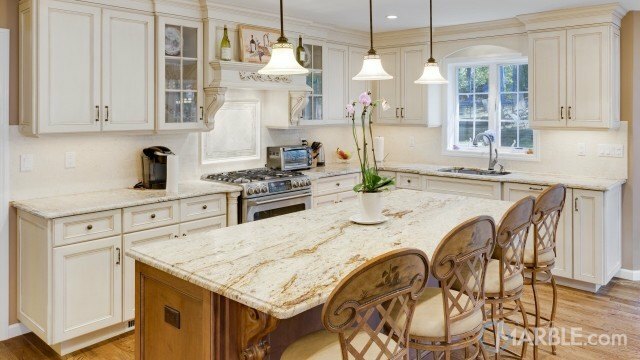 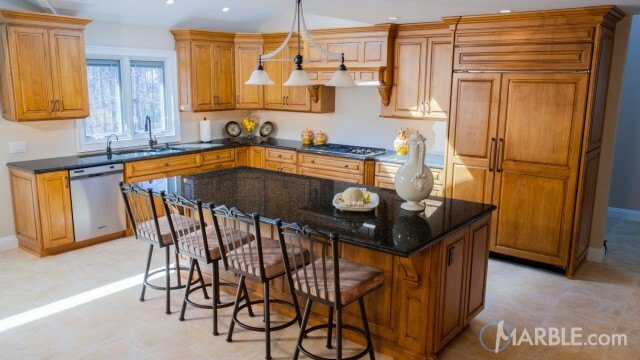 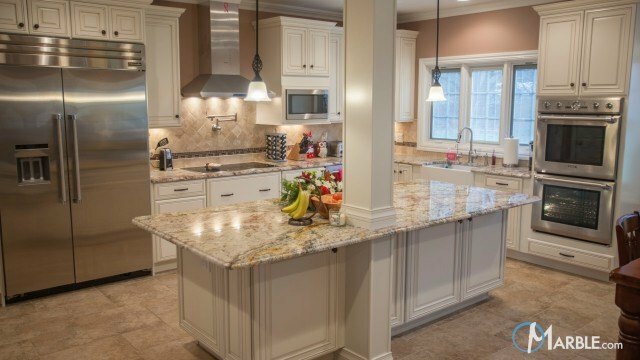 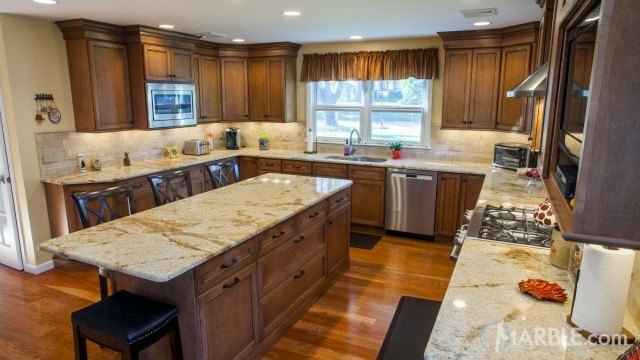 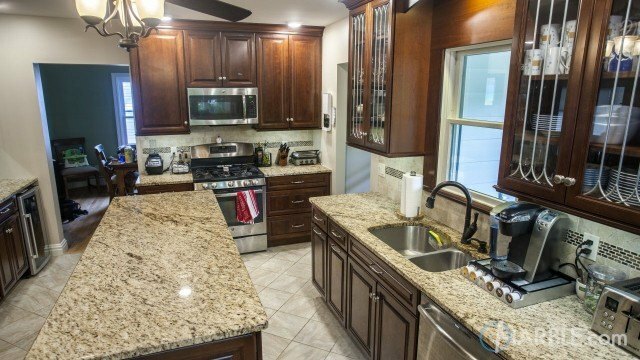 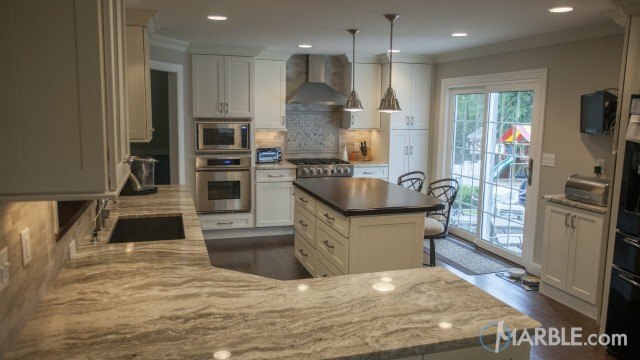 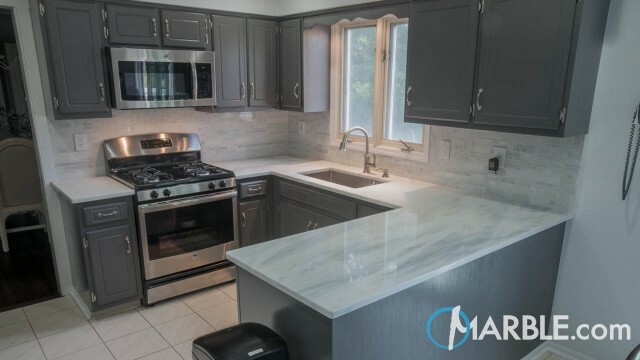 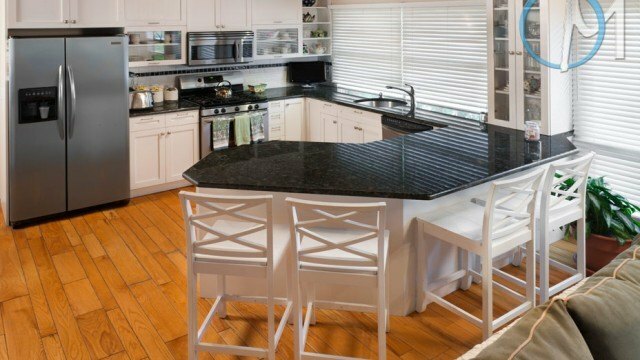 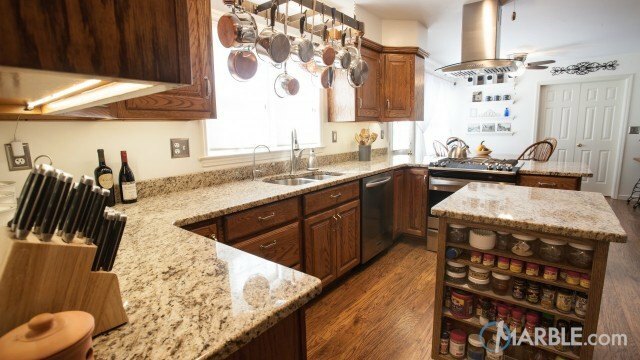 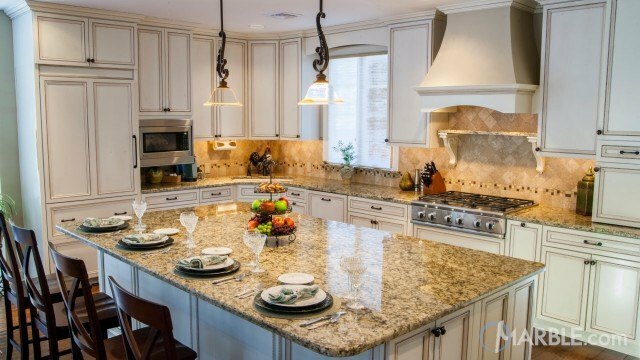 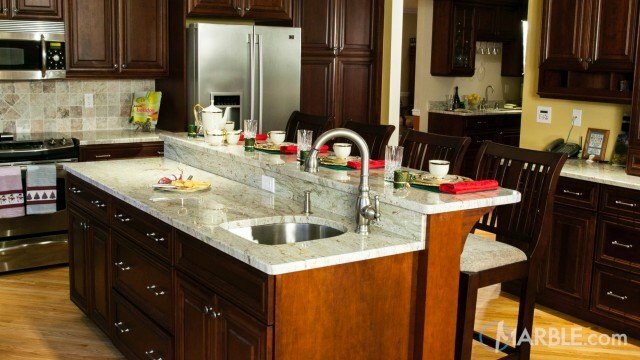 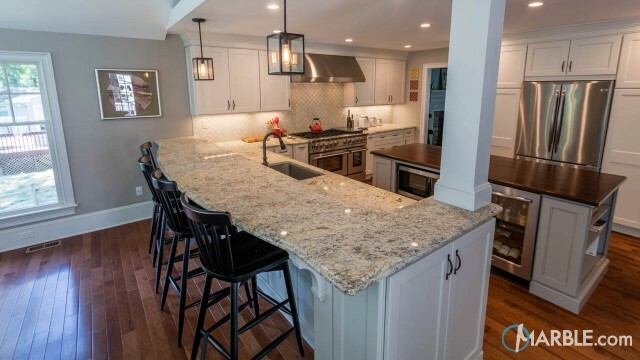 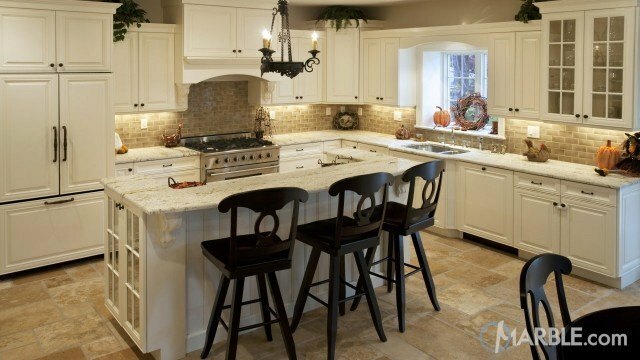 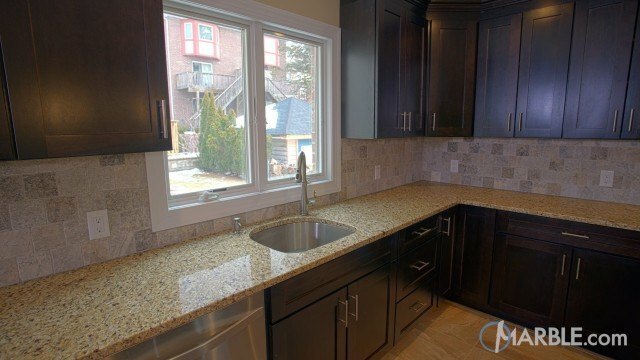 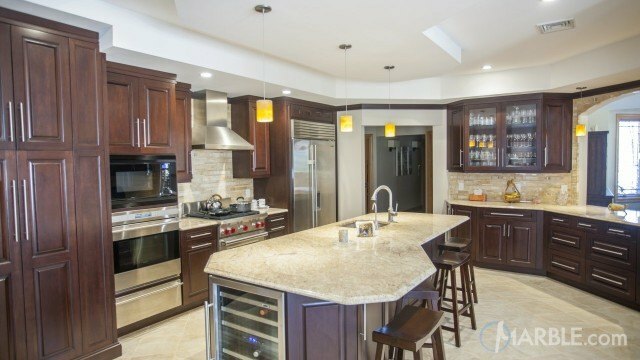 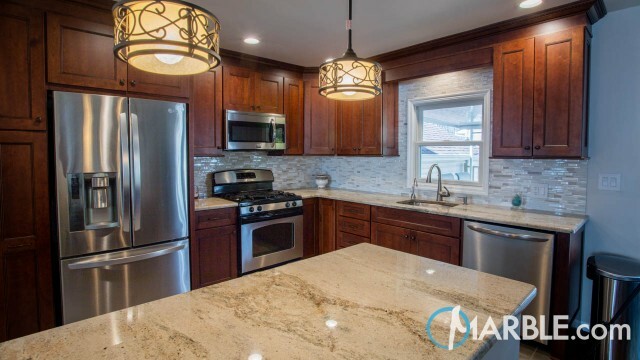 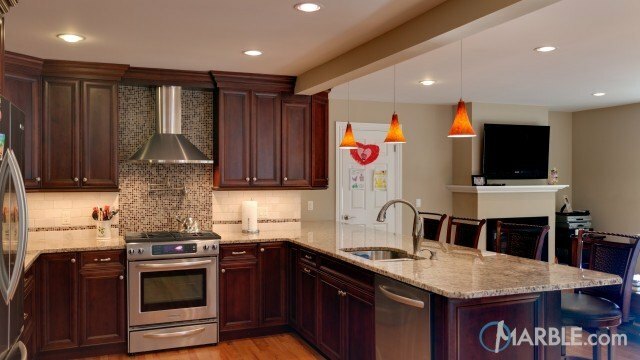 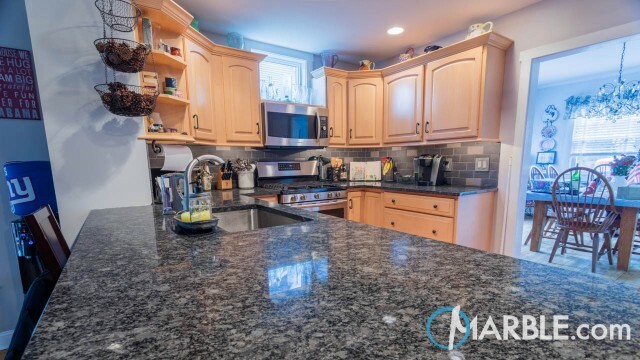 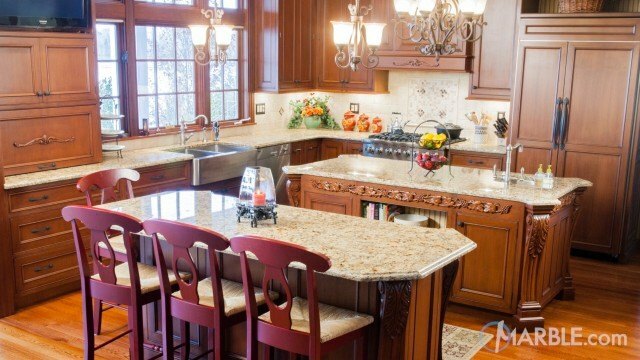 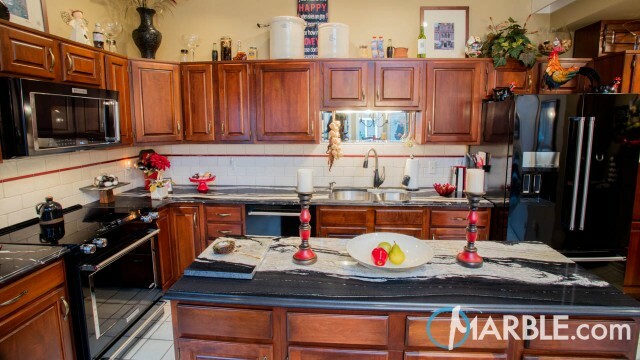 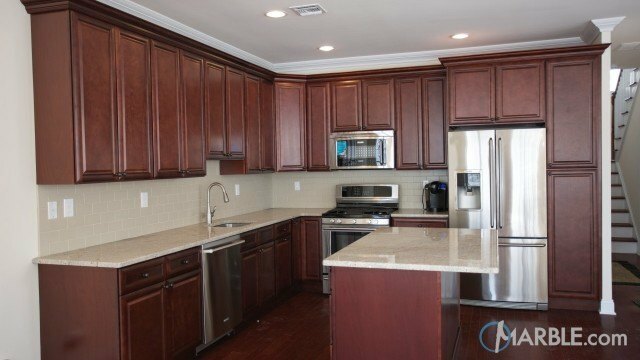 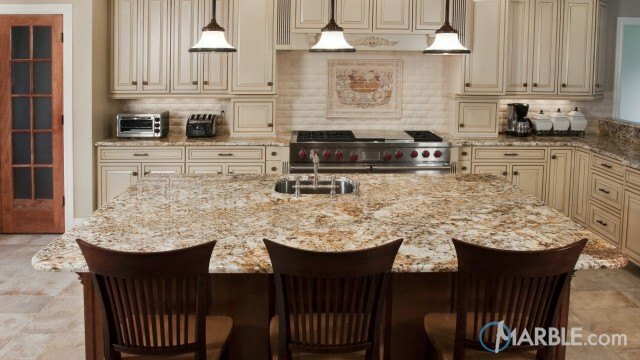 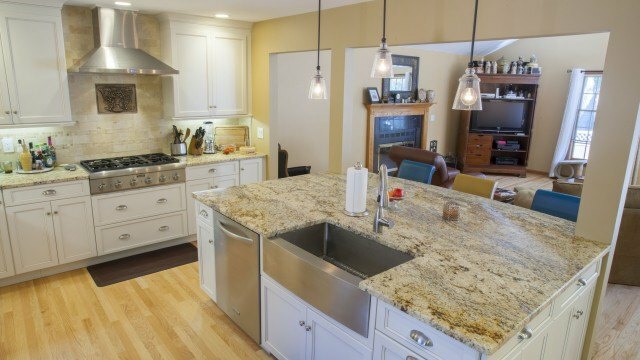 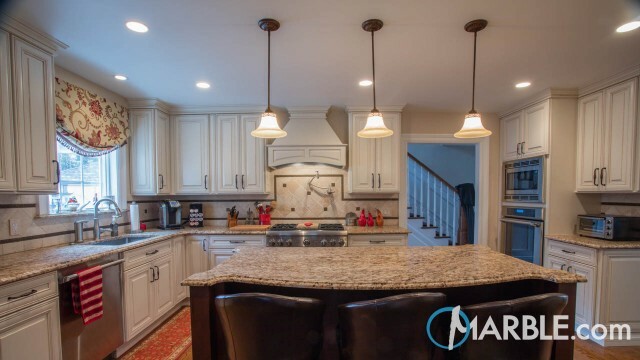 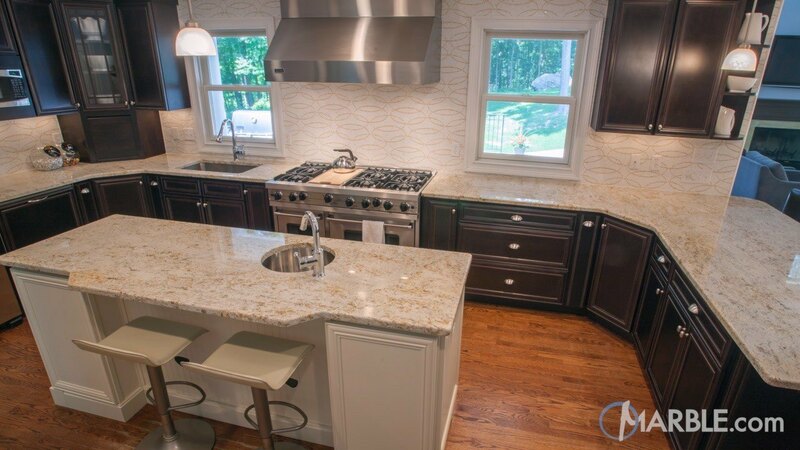 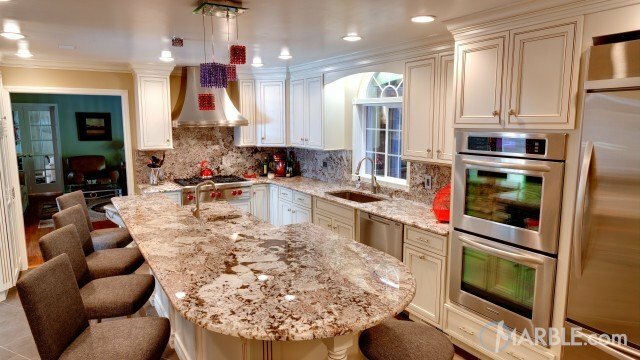 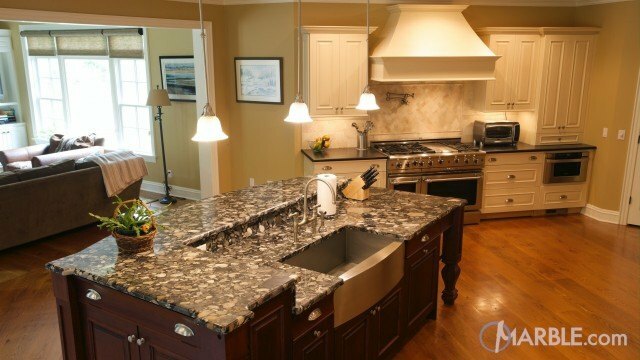 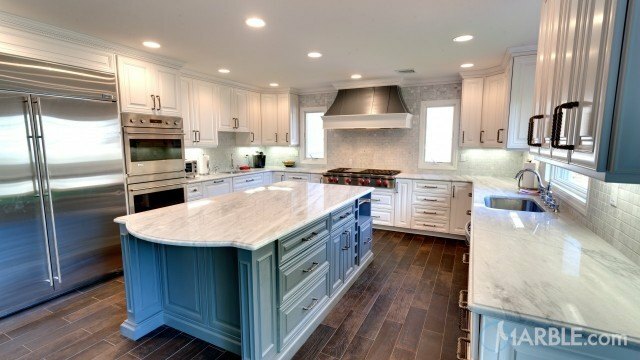 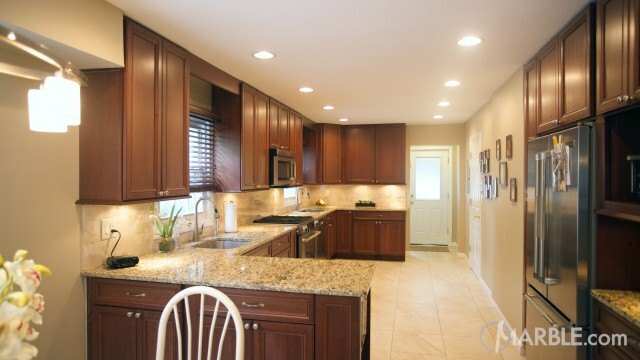 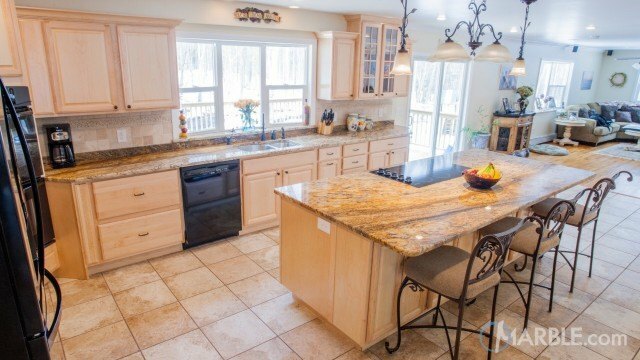 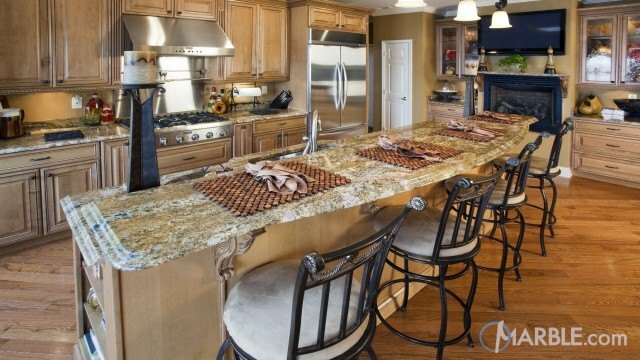 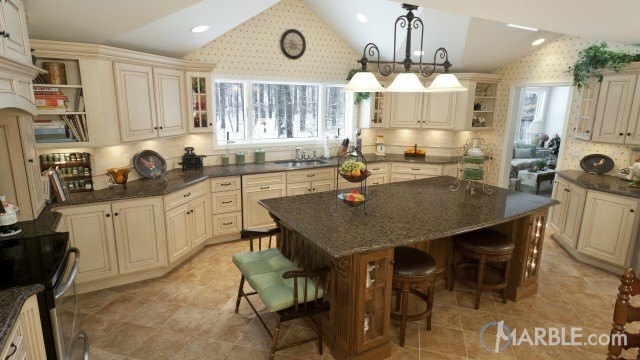 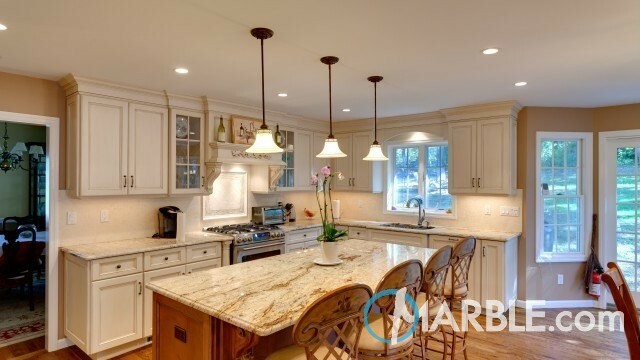 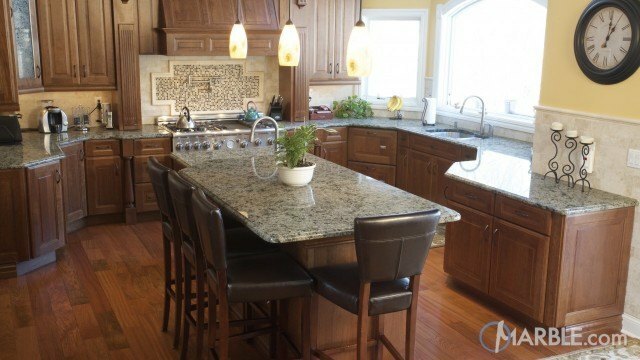 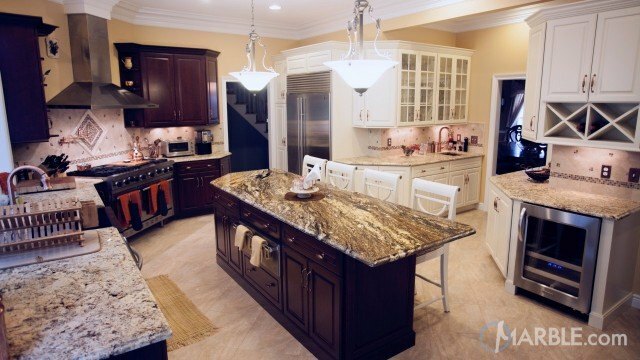 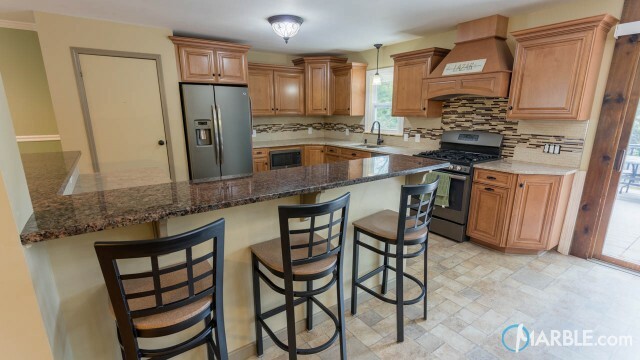 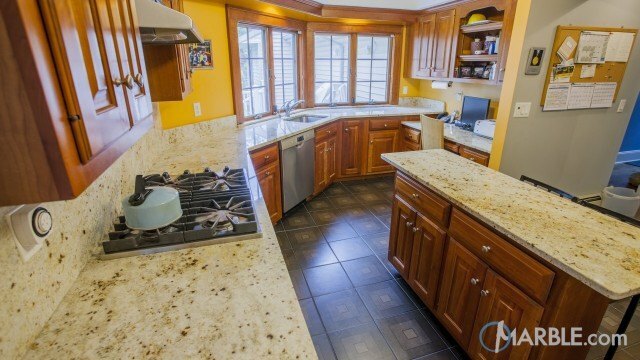 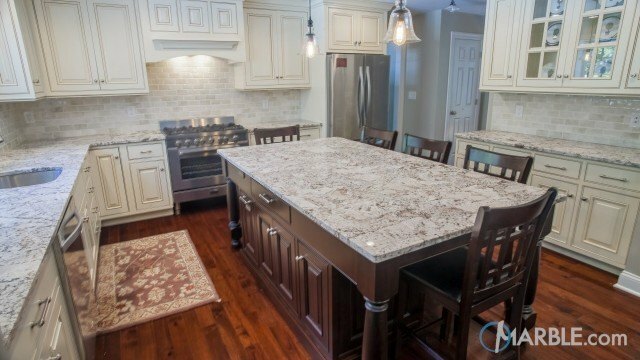 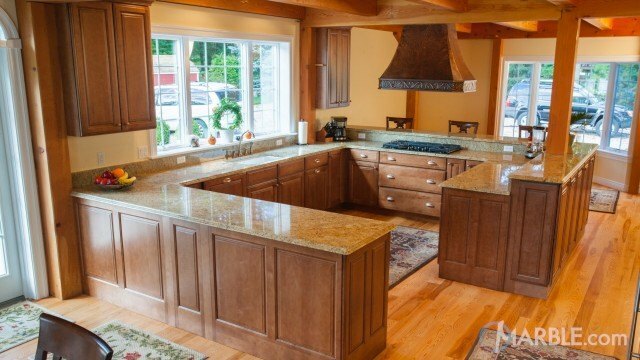 This kitchen features Colonial Gold granite matched with both off-white and dark wood cabinets. 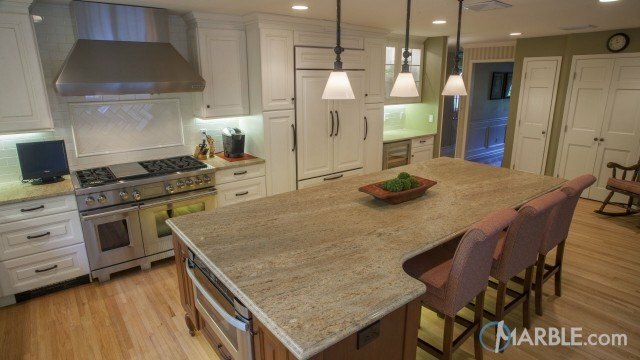 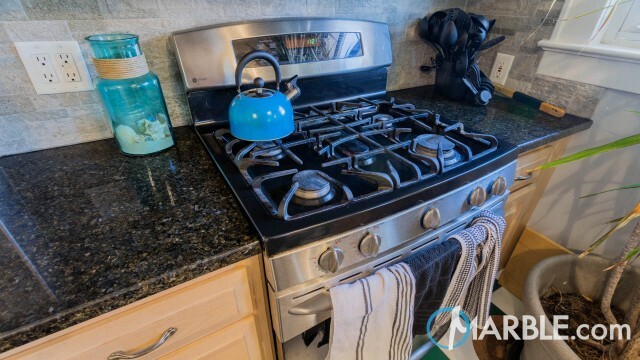 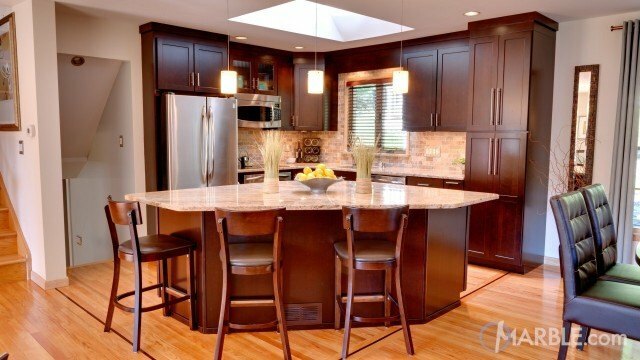 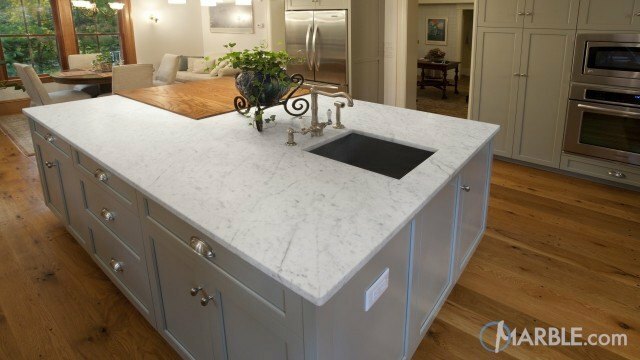 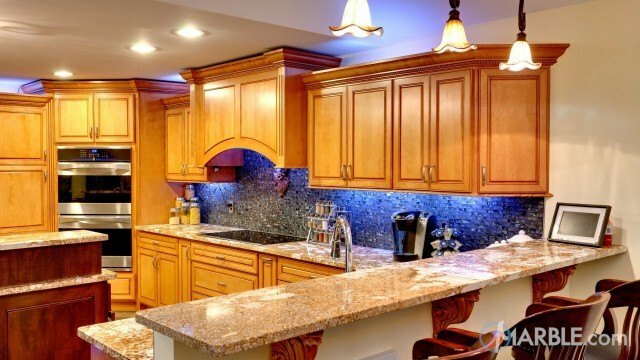 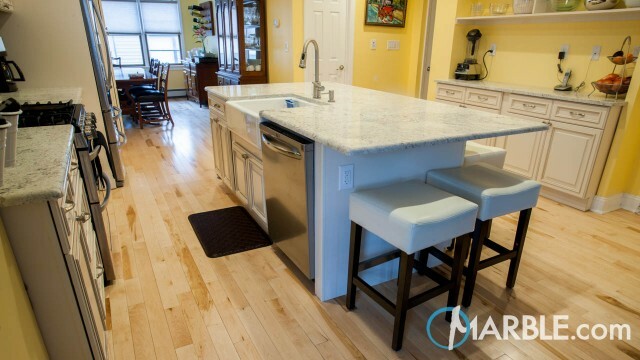 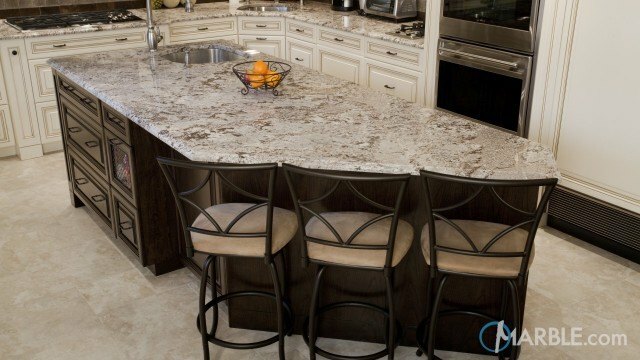 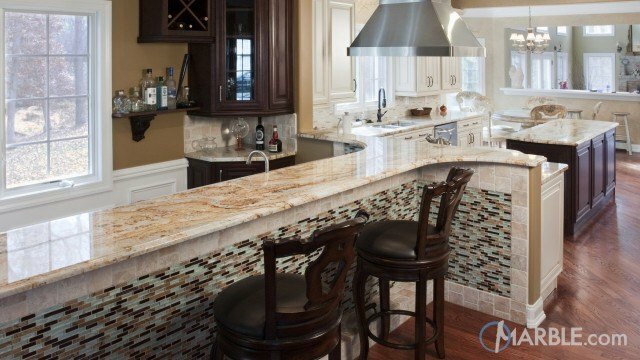 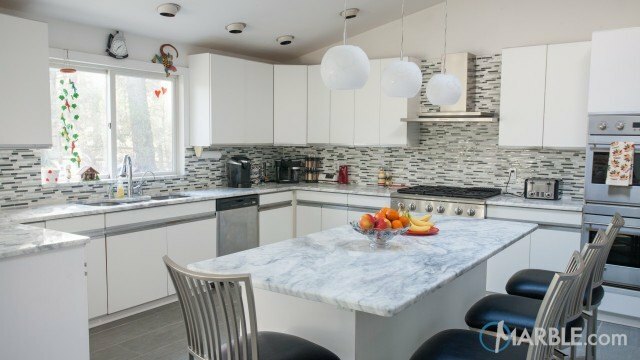 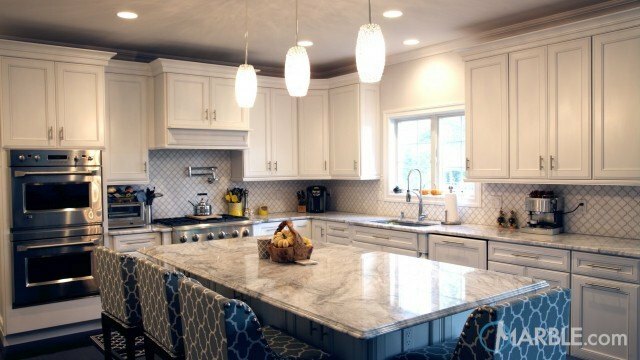 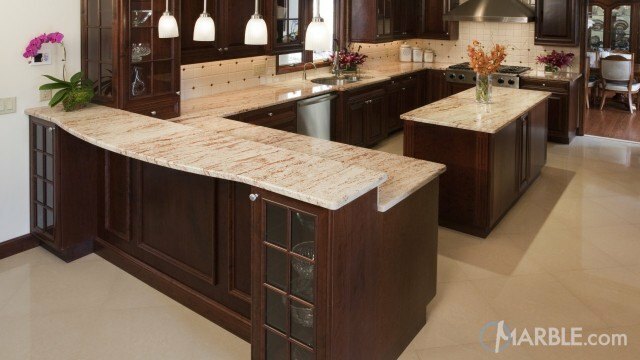 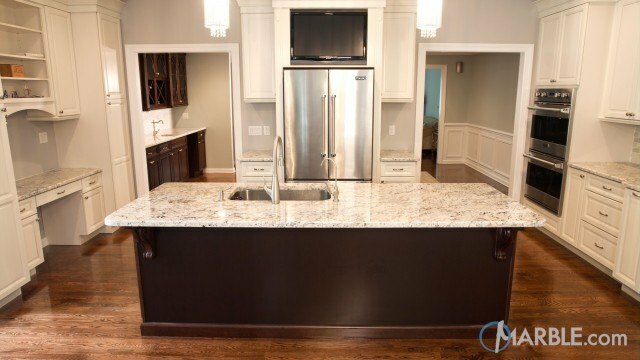 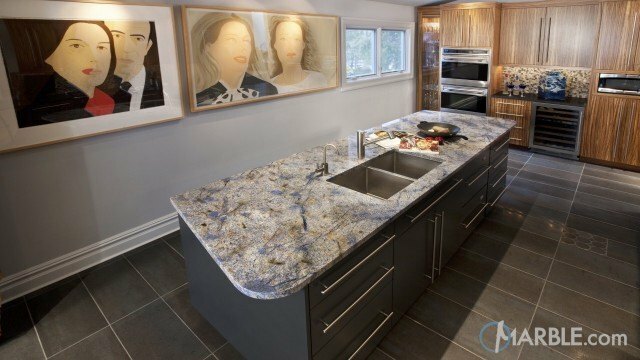 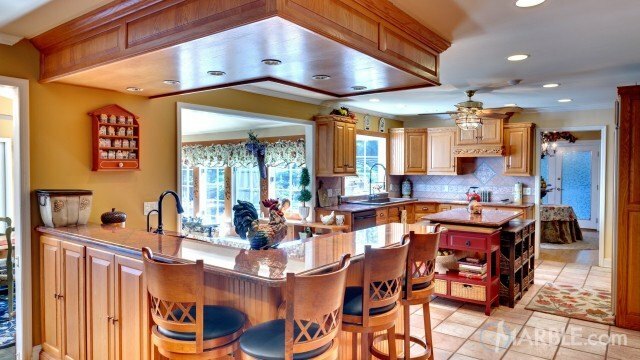 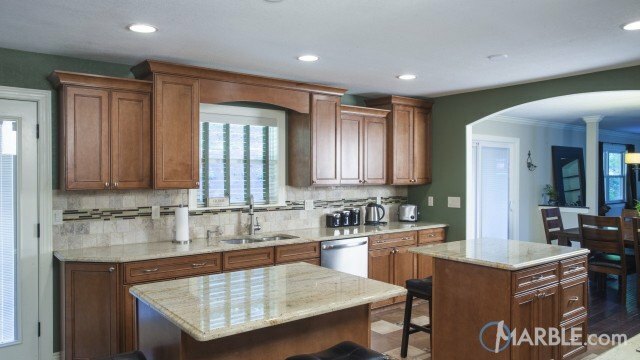 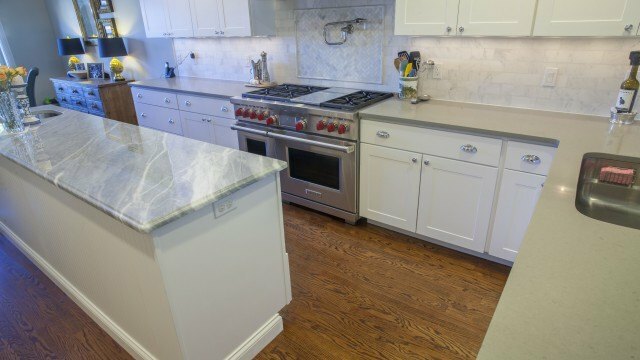 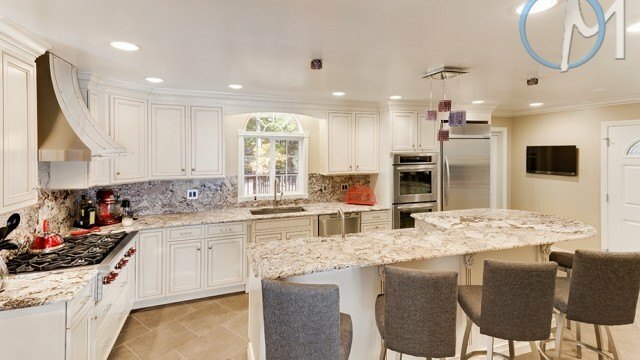 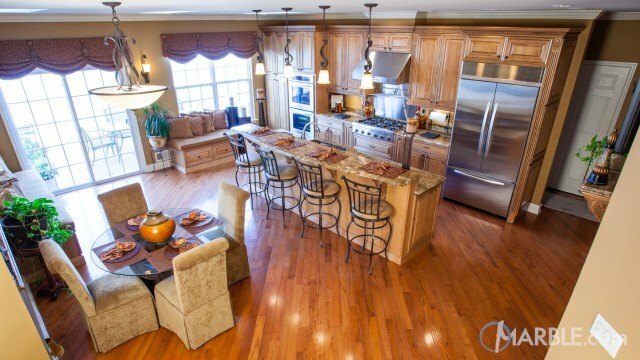 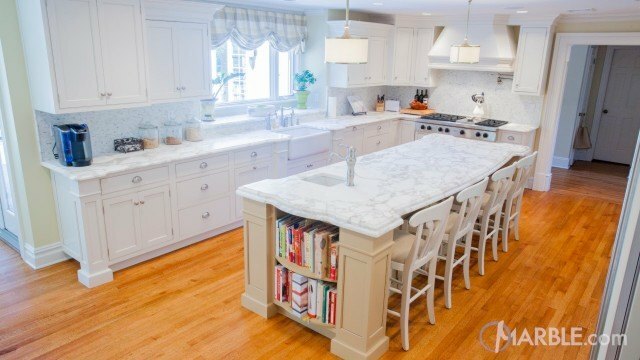 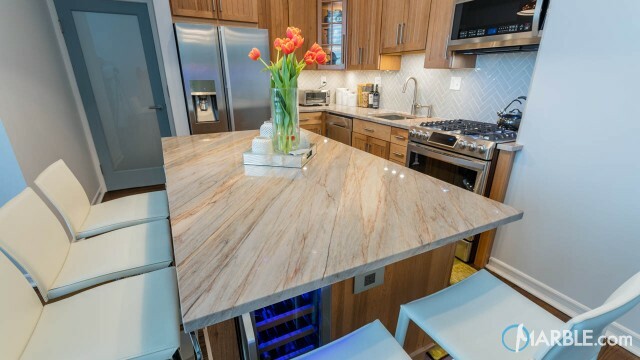 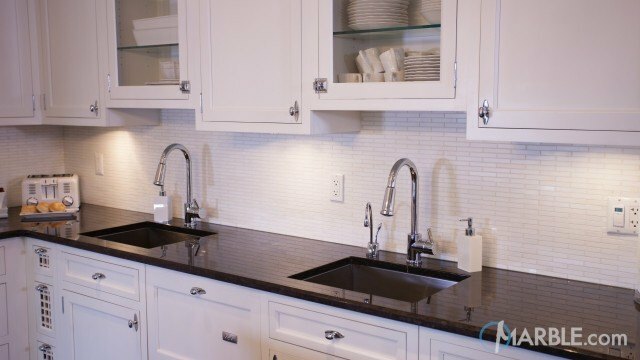 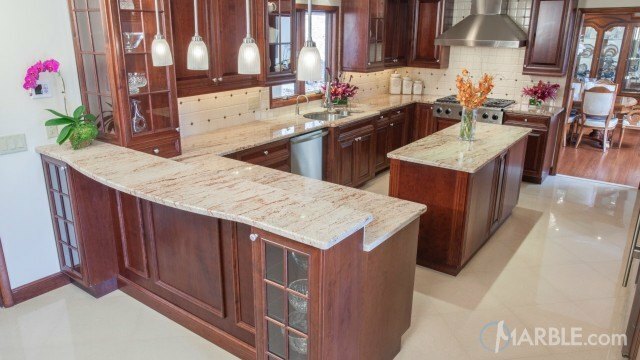 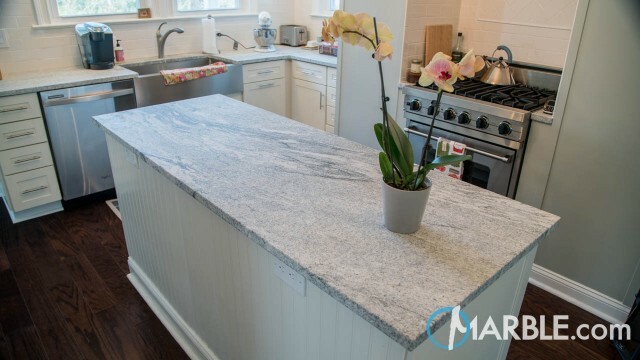 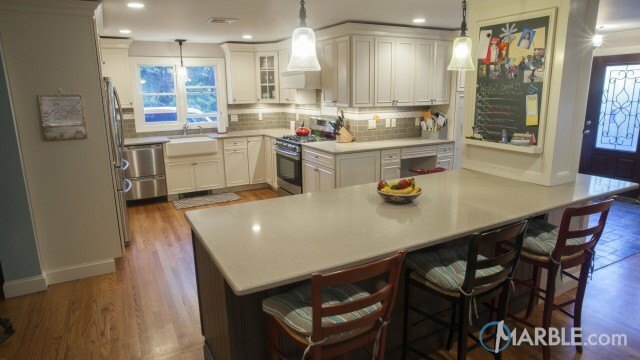 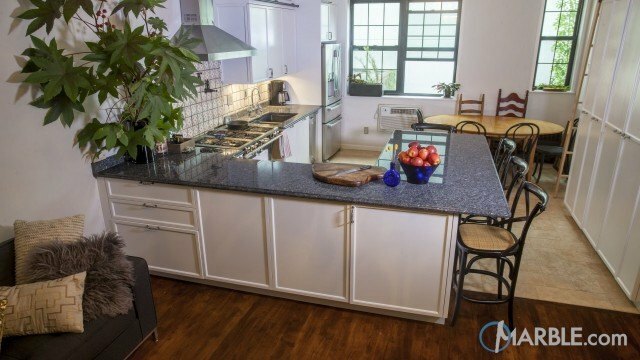 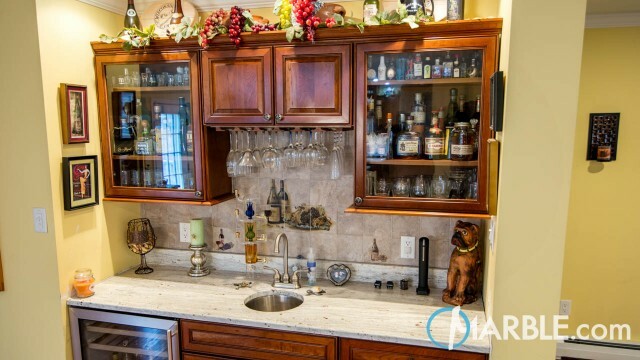 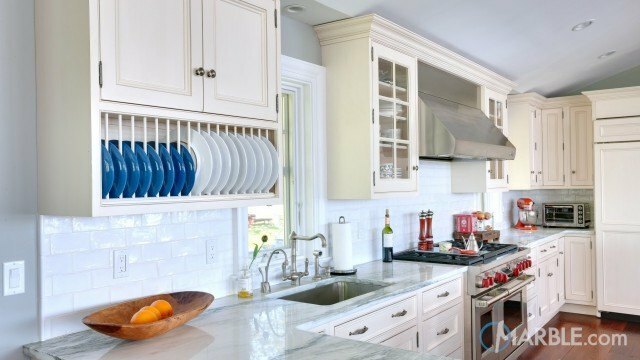 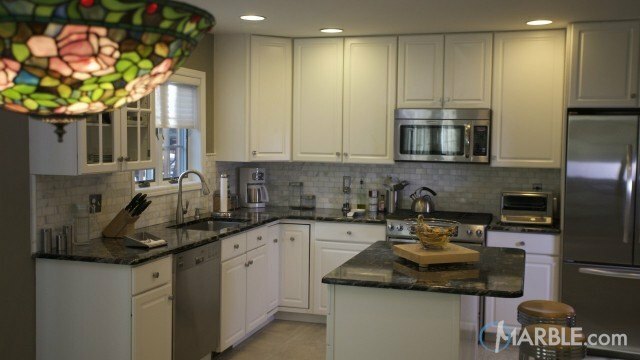 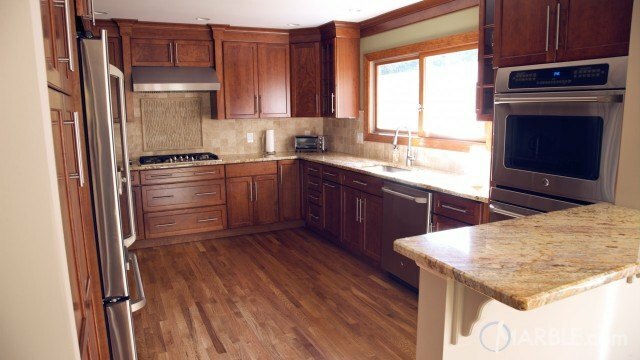 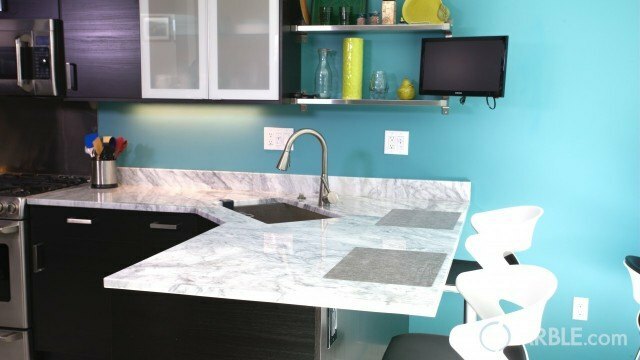 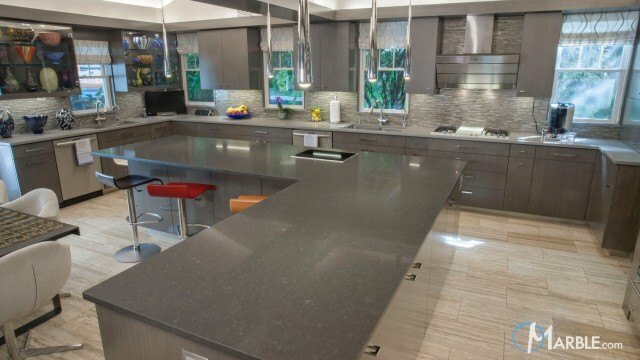 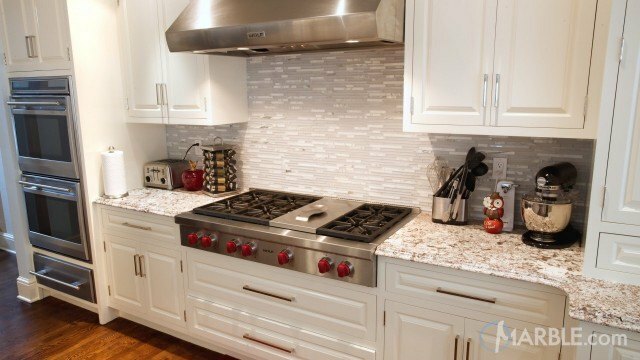 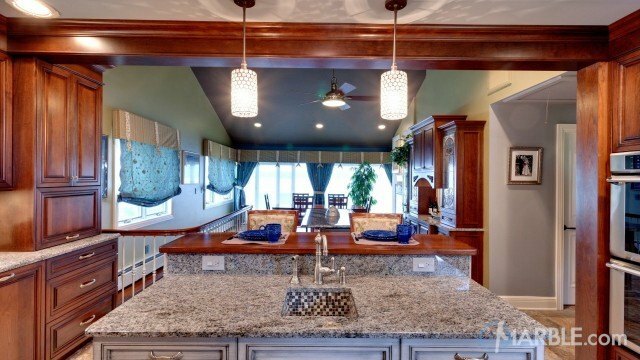 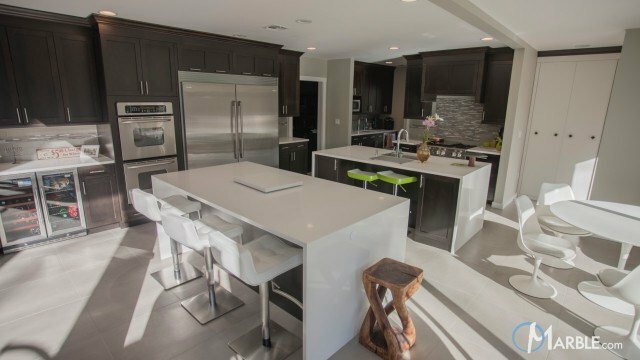 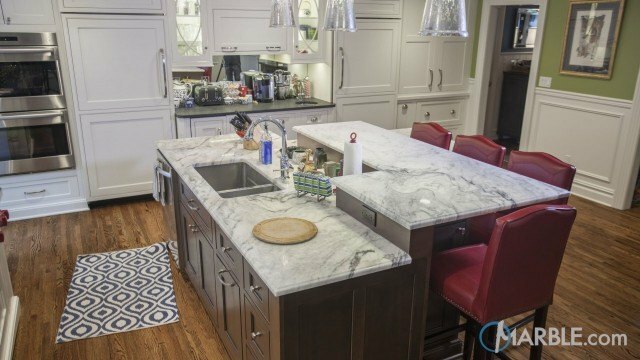 Mixing the perimeter and island cabinet colors is always suggested as it gives a good contrast to the room. 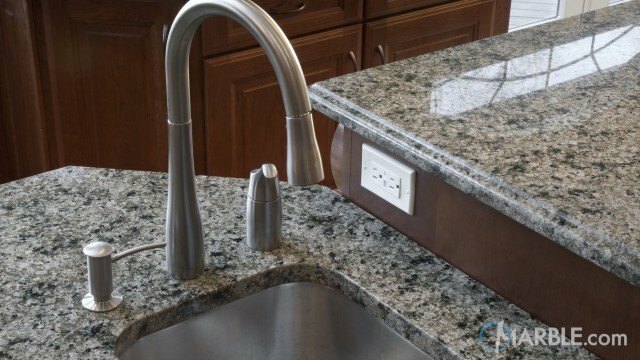 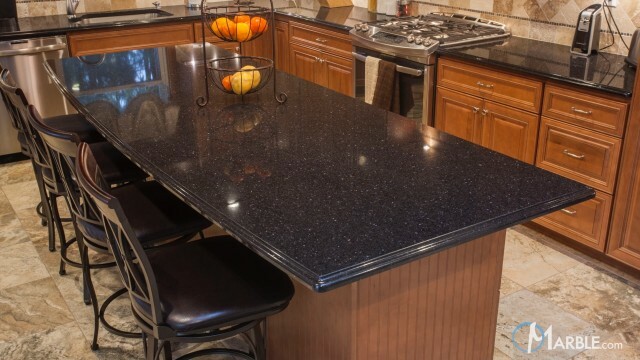 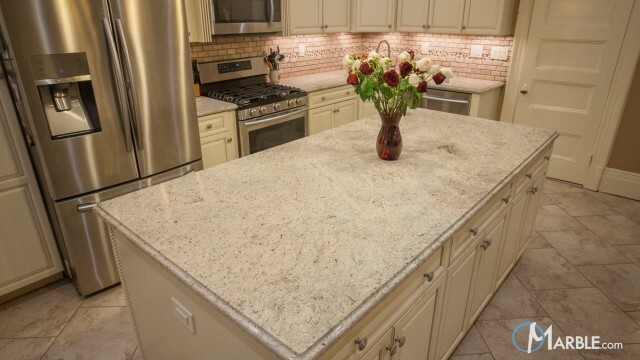 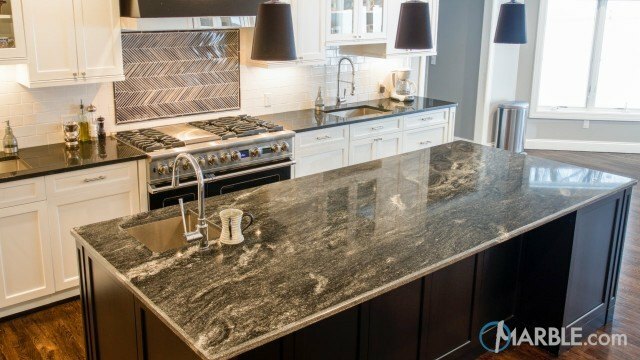 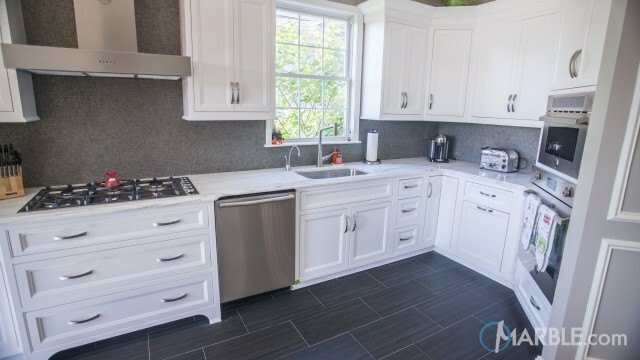 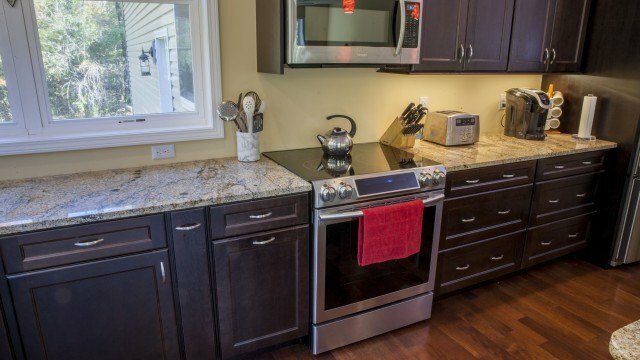 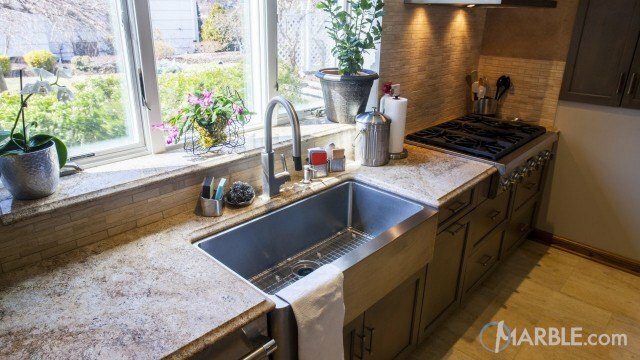 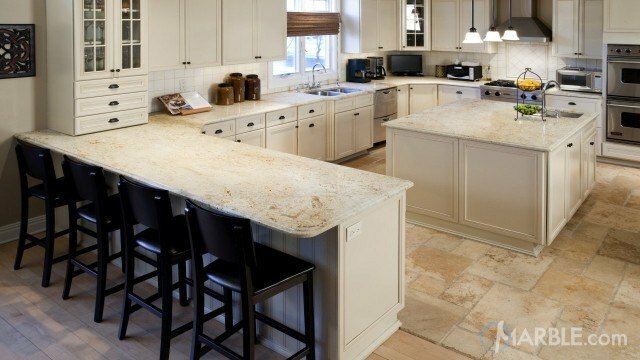 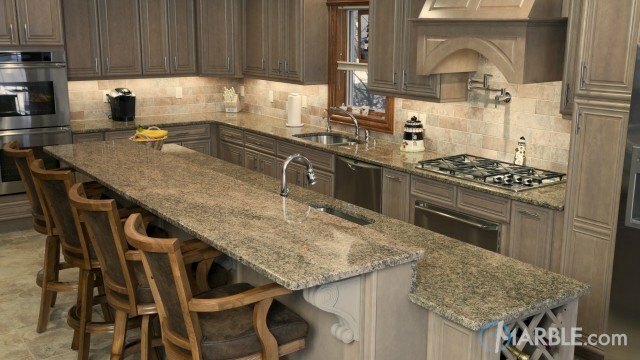 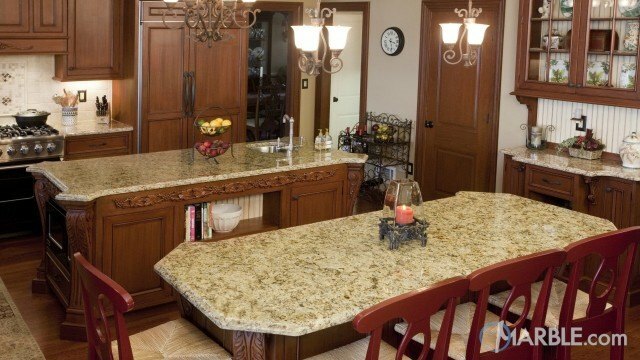 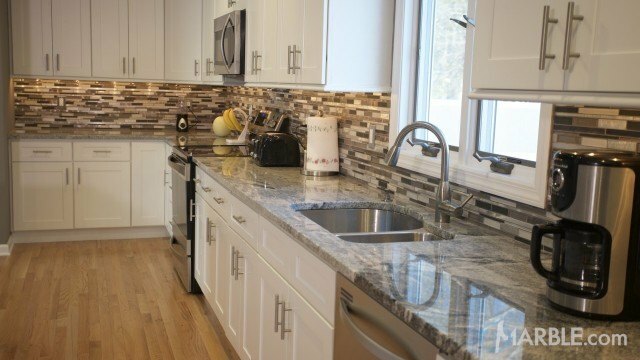 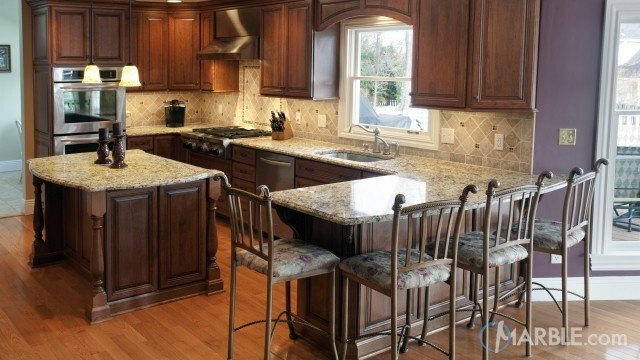 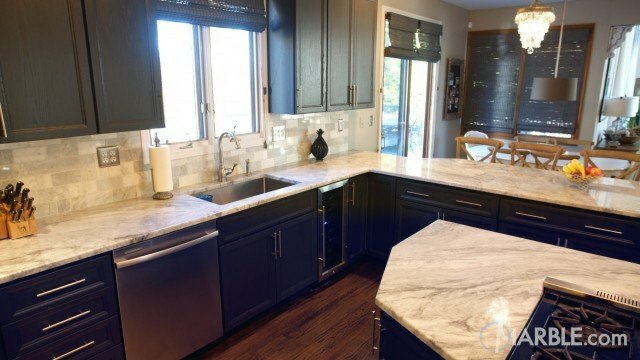 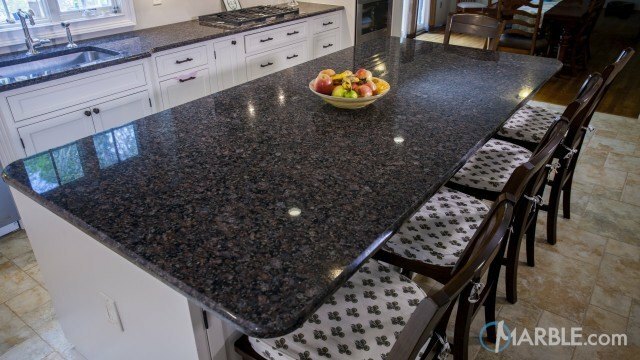 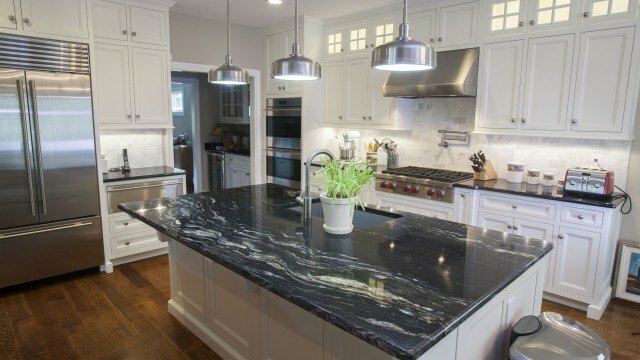 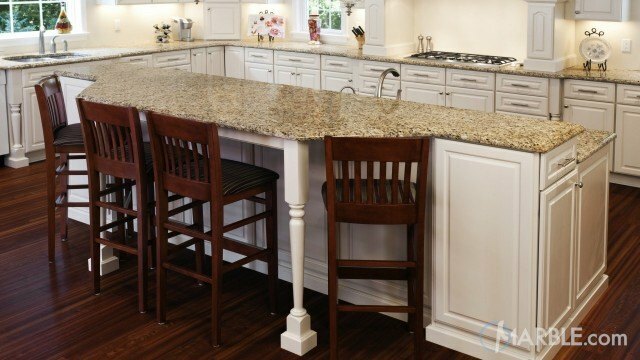 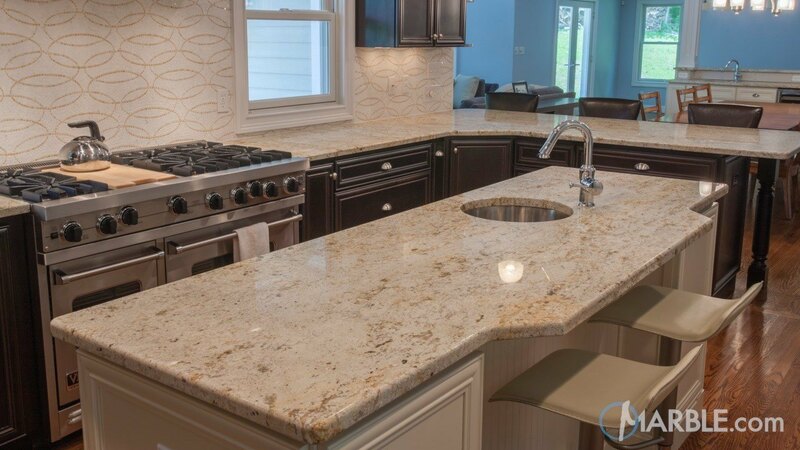 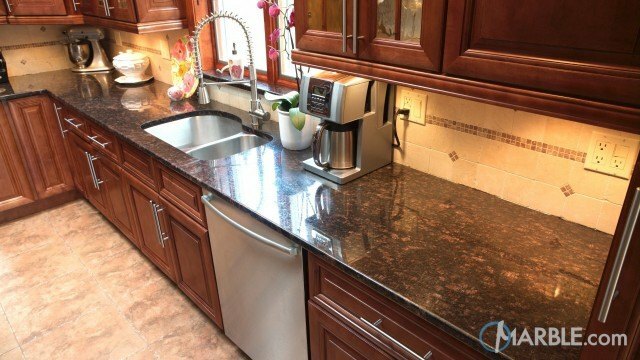 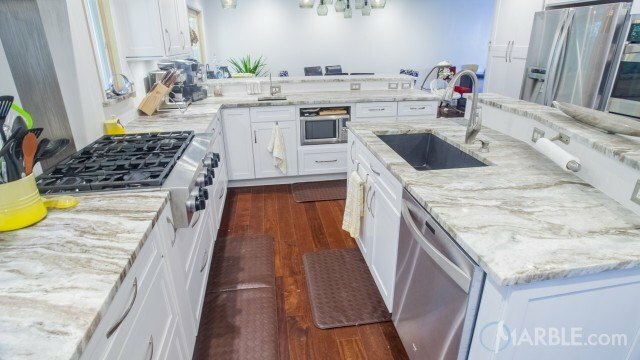 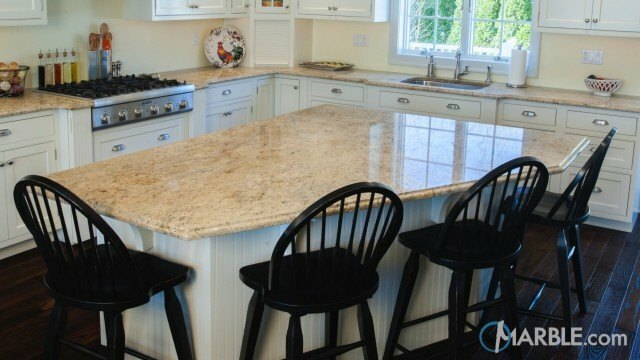 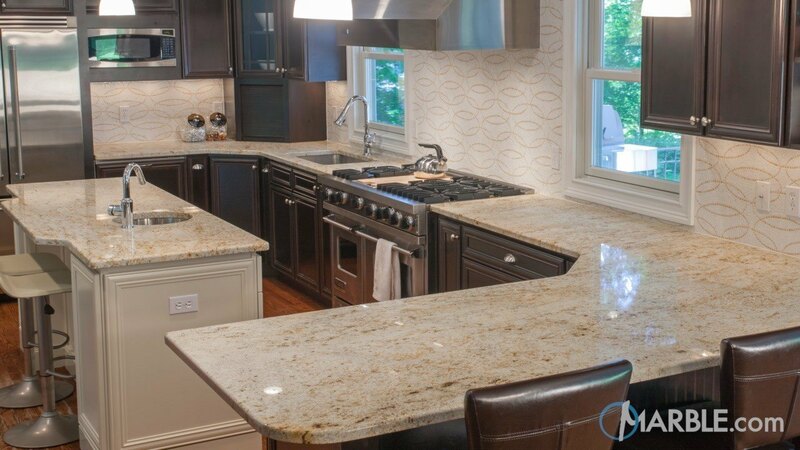 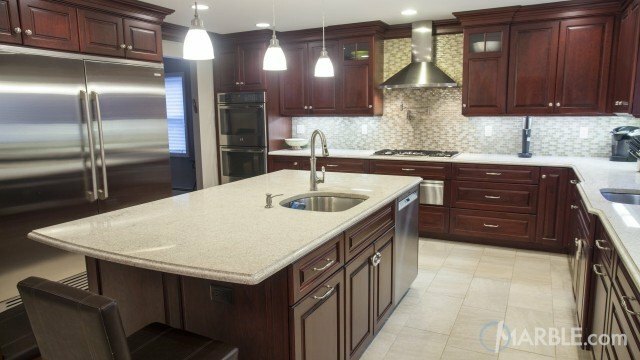 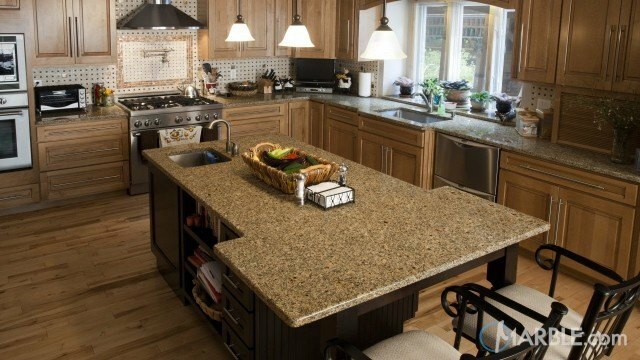 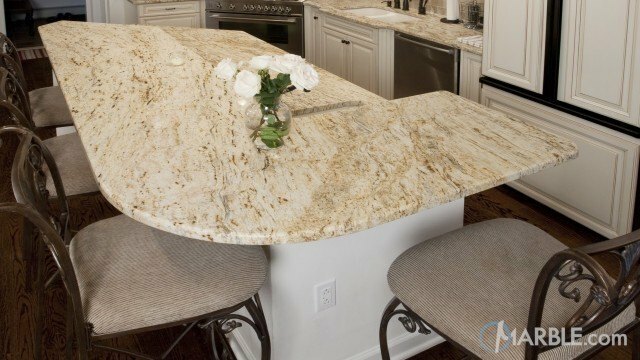 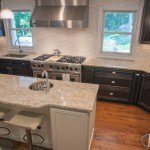 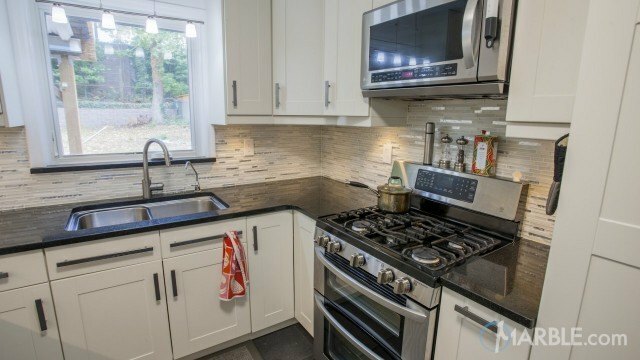 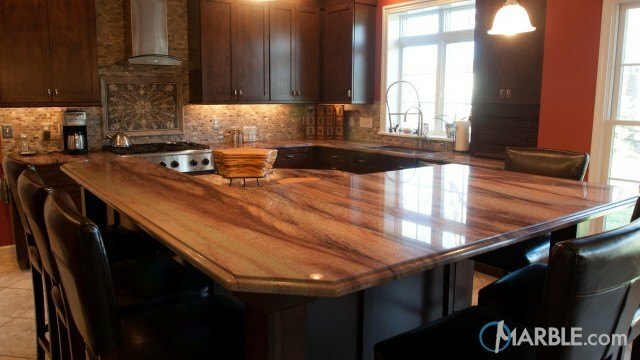 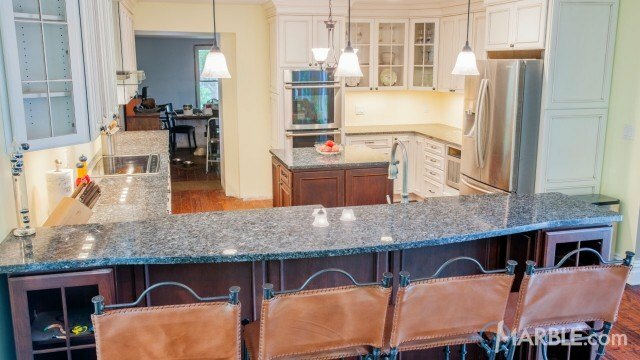 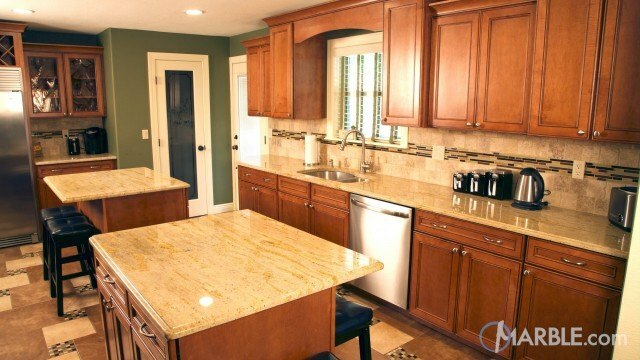 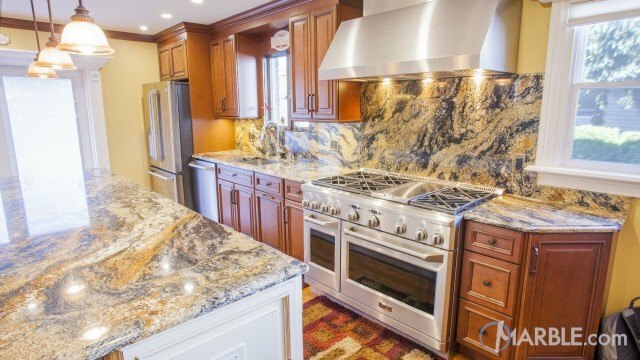 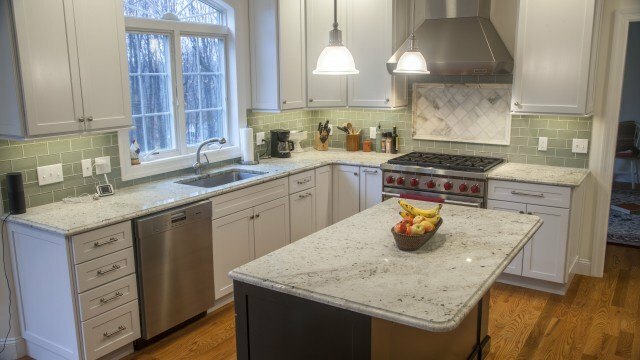 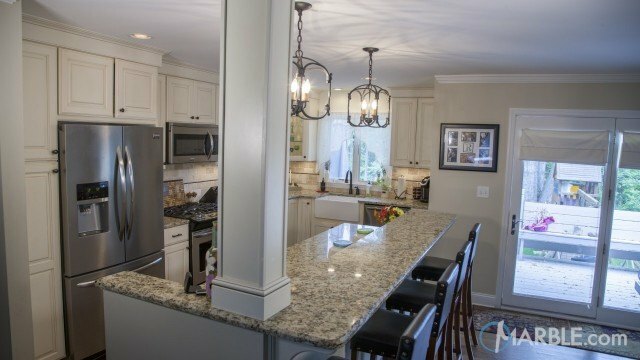 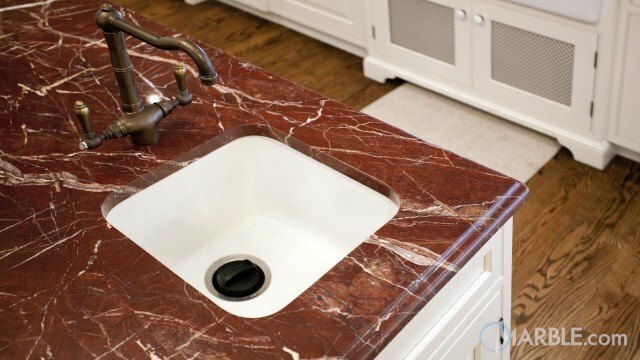 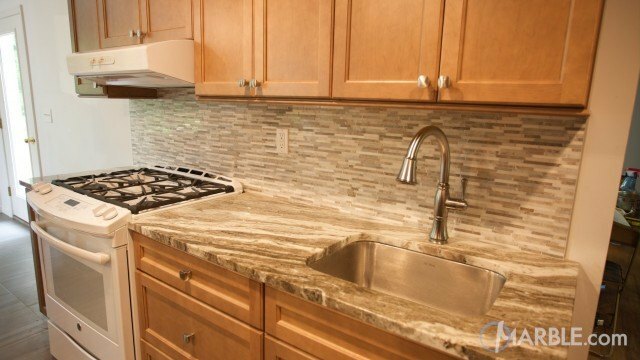 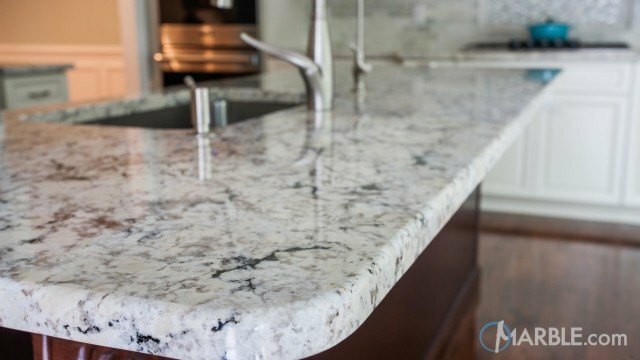 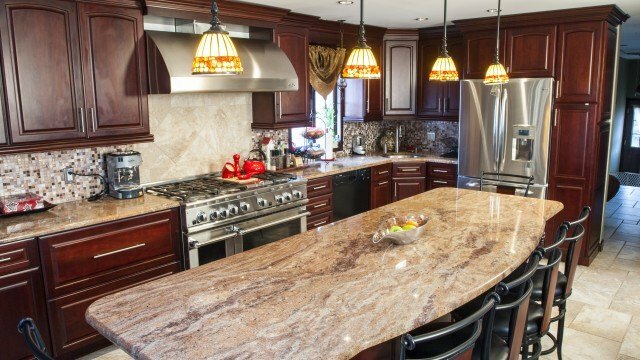 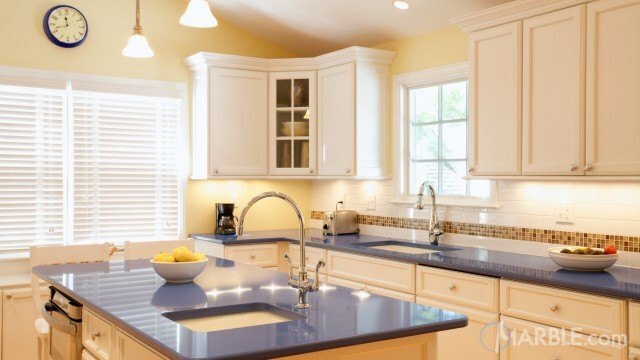 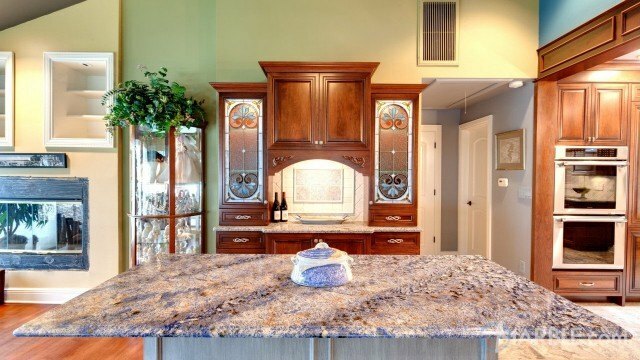 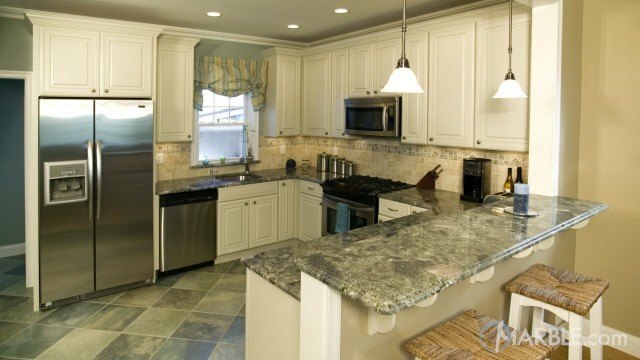 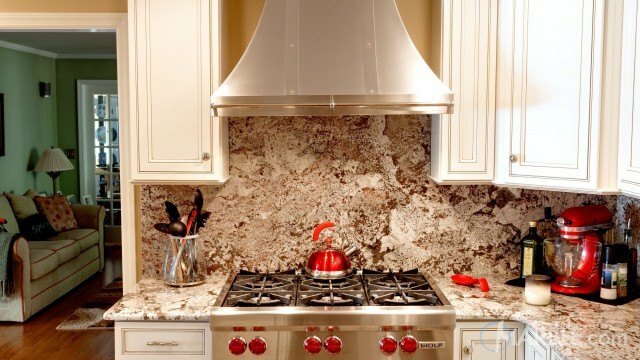 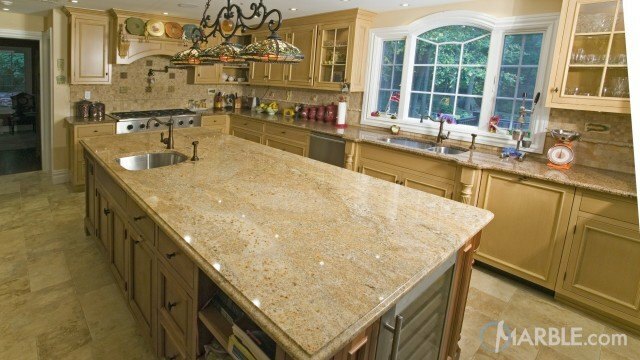 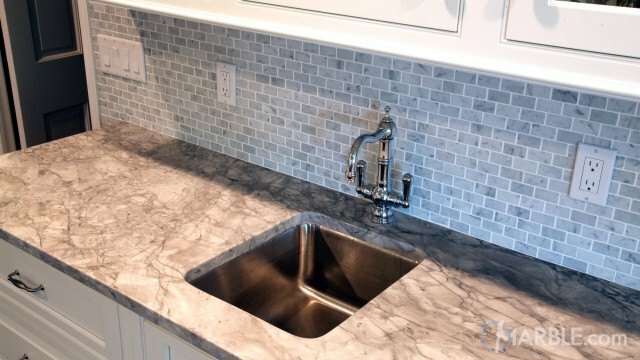 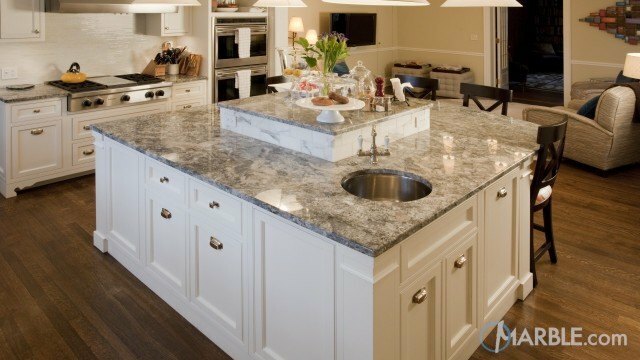 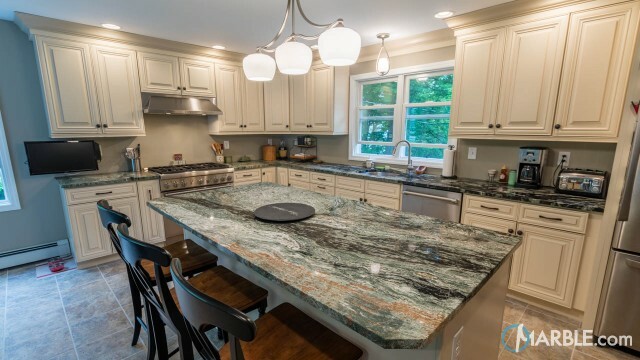 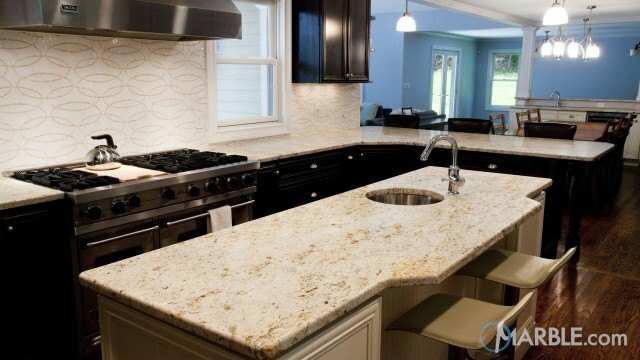 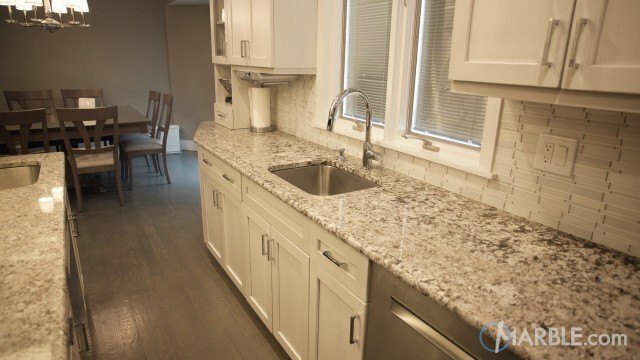 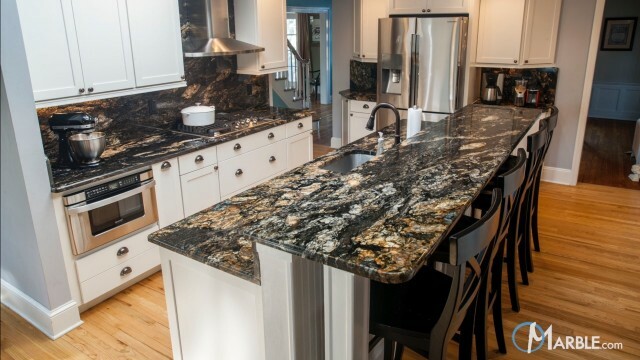 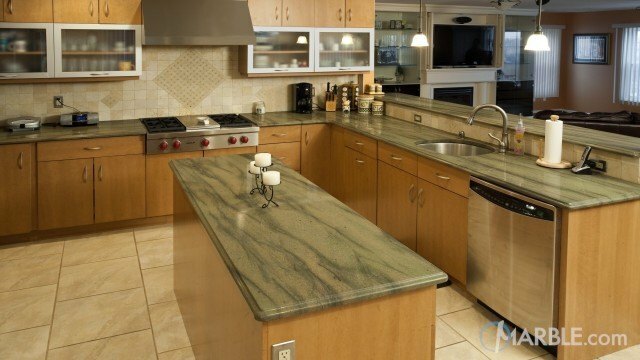 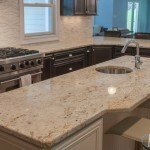 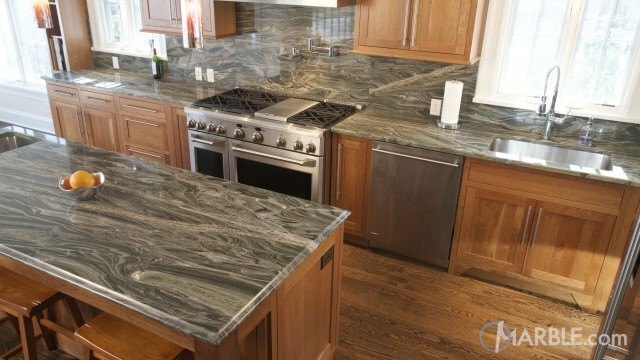 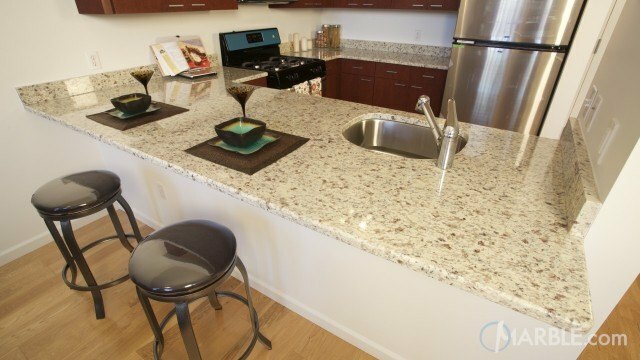 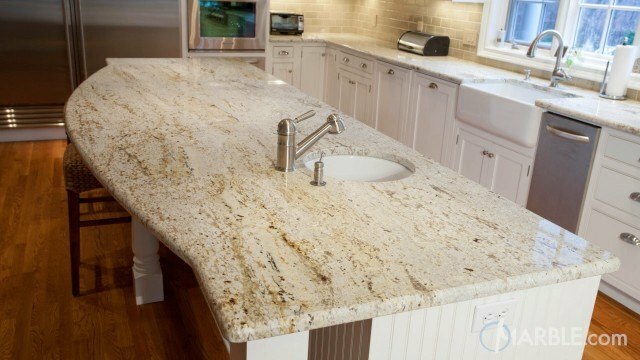 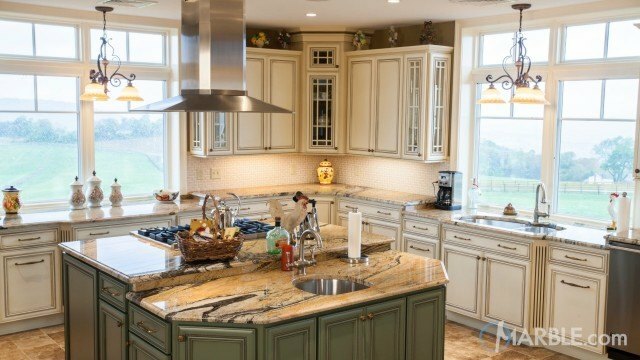 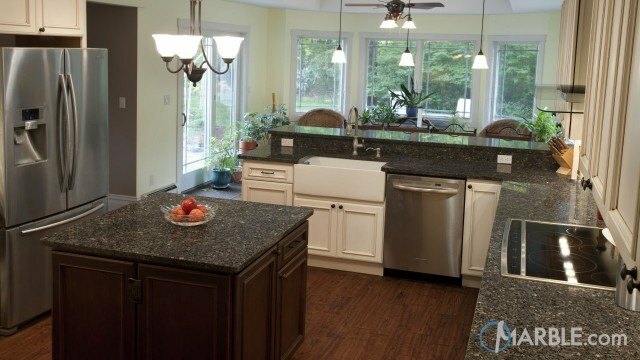 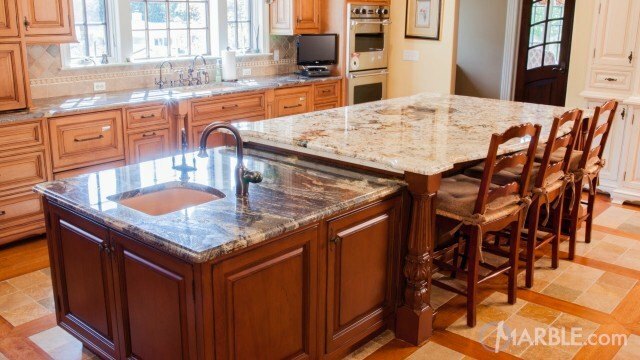 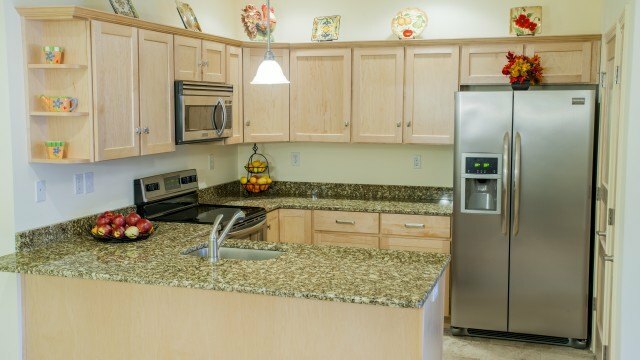 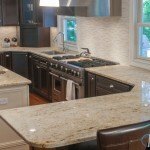 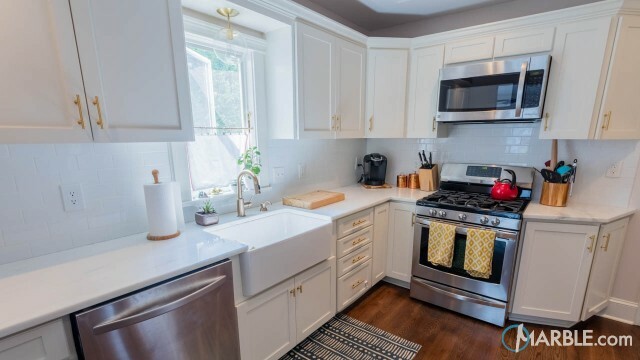 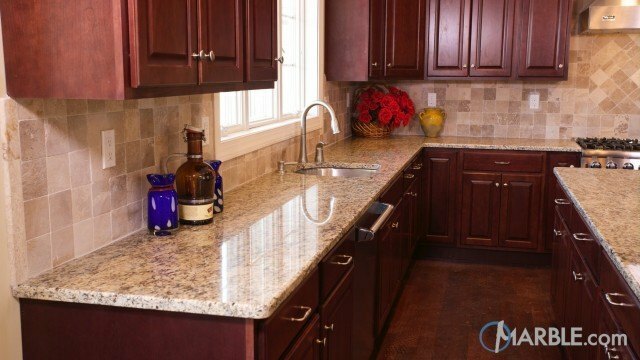 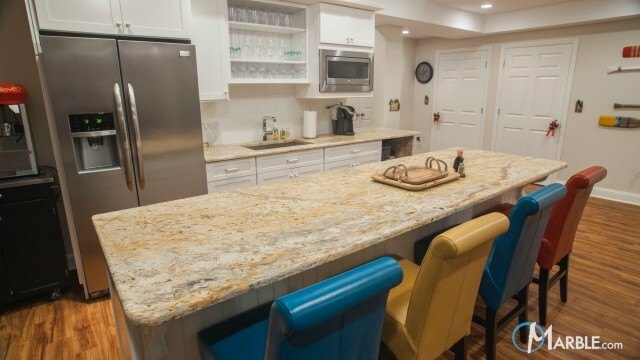 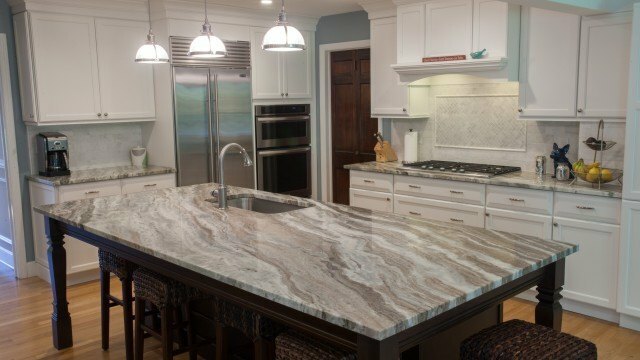 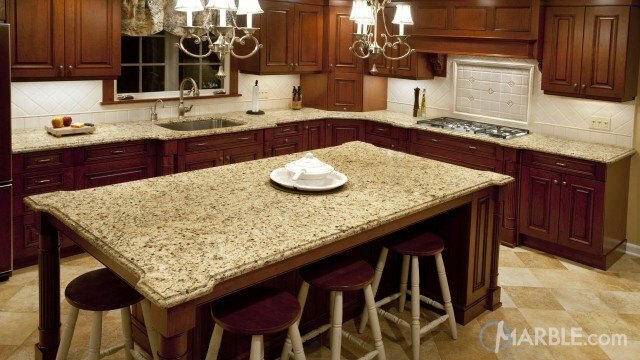 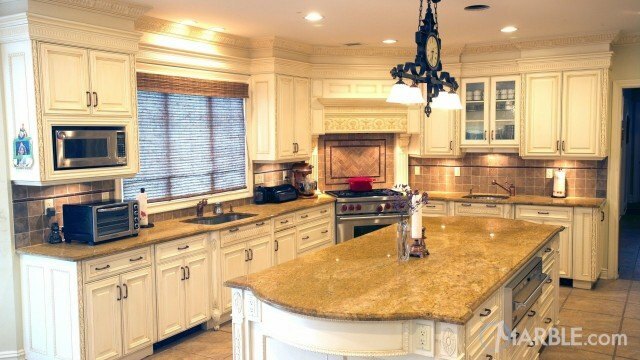 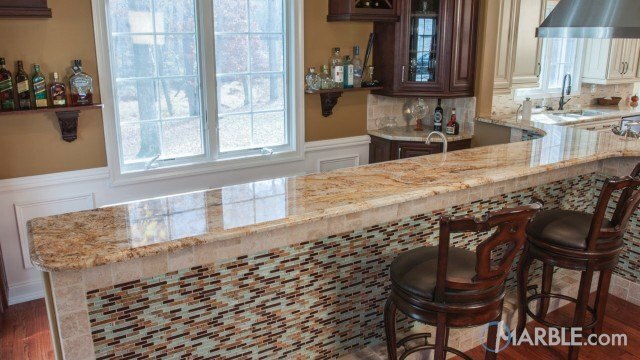 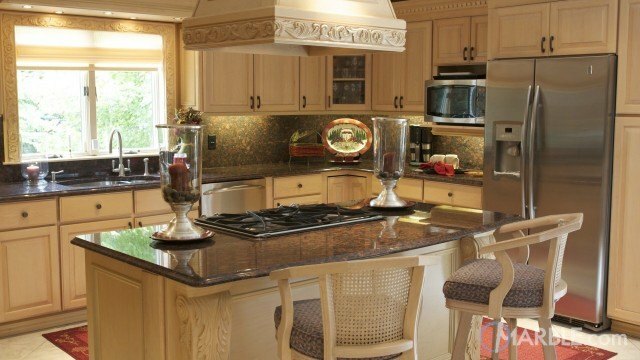 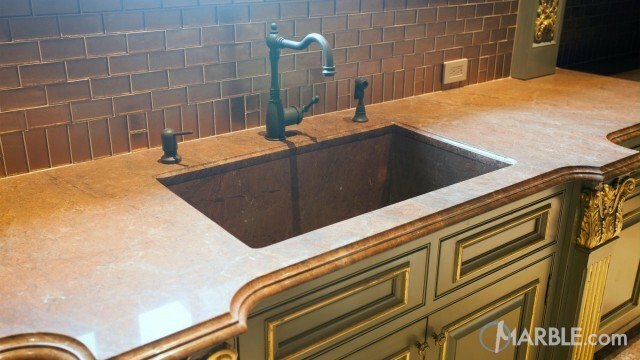 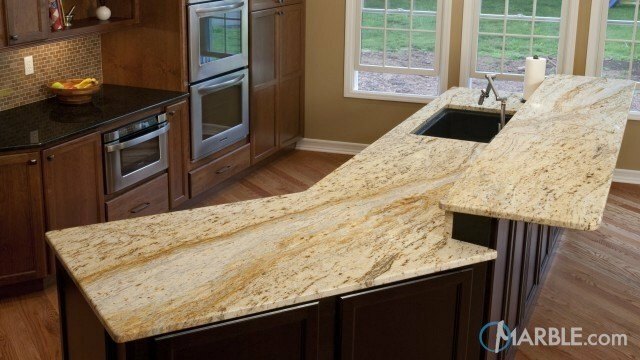 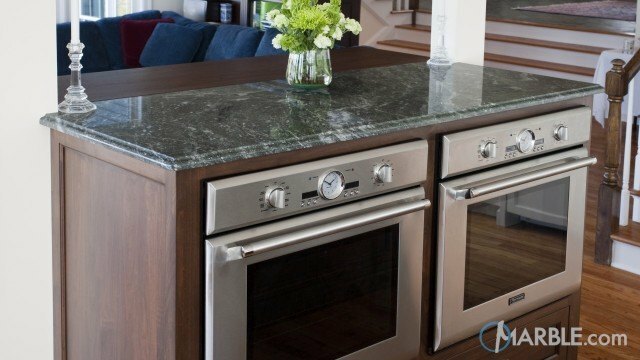 The Colonial Gold granite is the perfect match for both these cabinet colors.